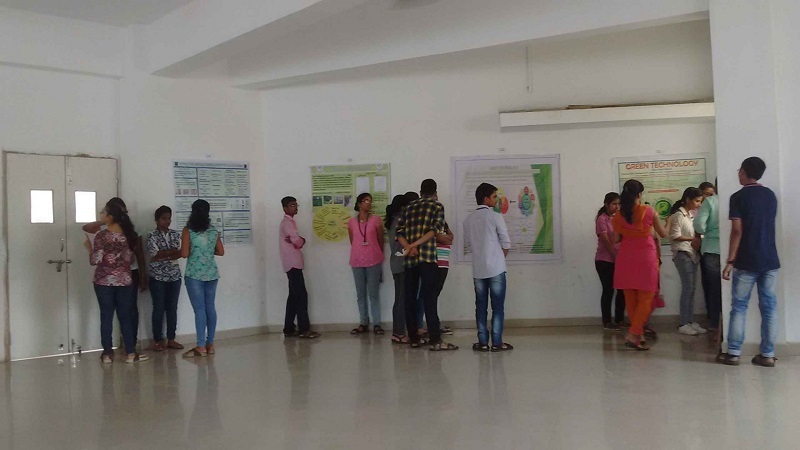 Venue : Auditorium, VIVA Technical Campus, Virar. 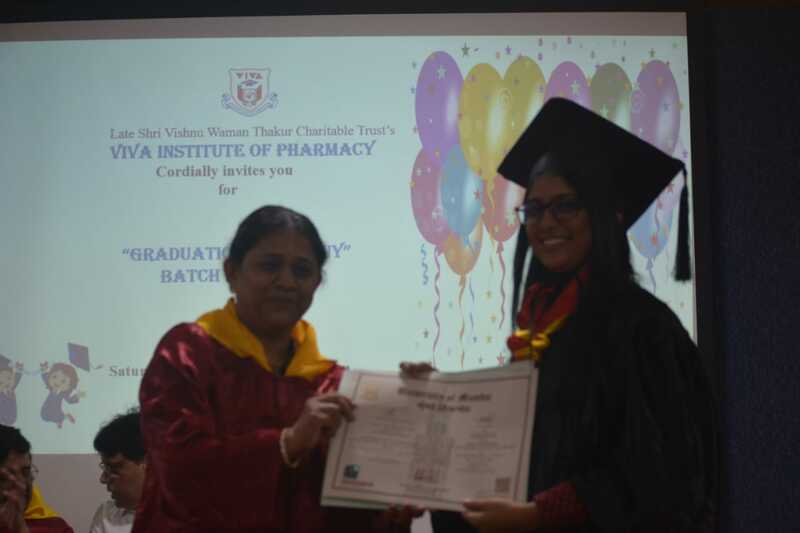 Description : VIVA Institute of Pharmacy organized Degree Conferring program to felicitate students of batch 2013-17. 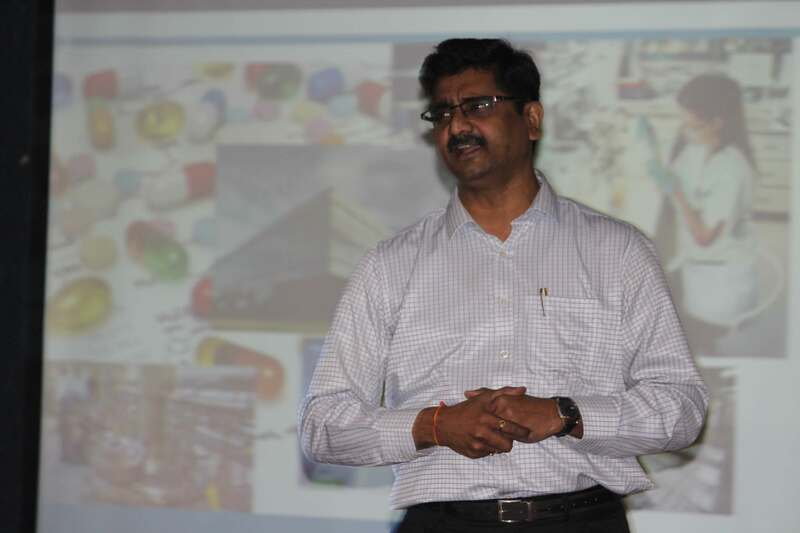 The chief guest of the day was Mr. Subhash Rajkondawar, Associate Director, Quality Assurance - ‎Merck Asia Pacific. 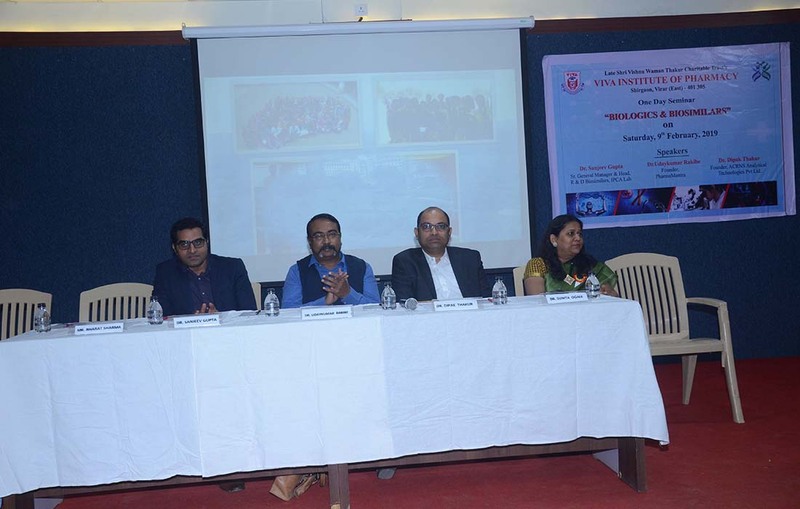 Dignitaries were Dr. A. P. Pandey- Principal, VIVA College of Arts, Commerce and Science, Mr. Bharat Sharma- Director, Ganga Pharmaceuticals LTD and president of Uttan Vanaushadhi Kendra, part of Keshavshrushti, Mr. Lalit Patil, Professor, VIVA IMR. 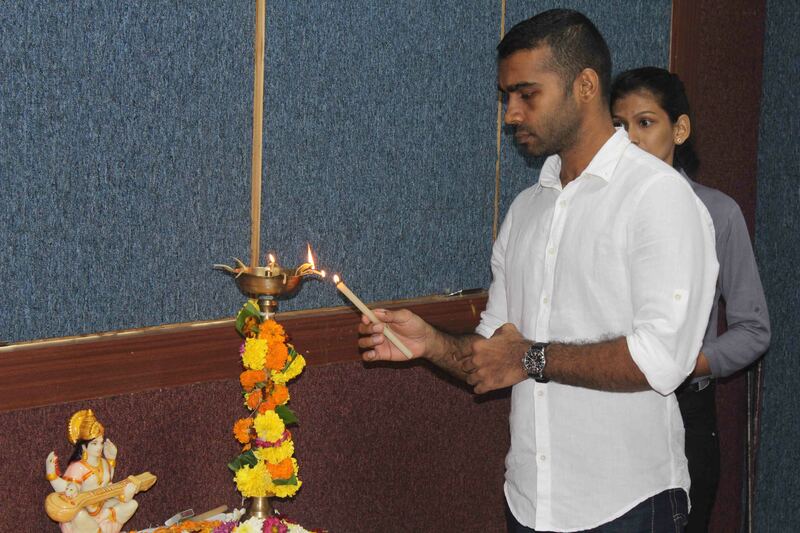 The program commenced with Saraswati Vandana and lightening of lamp. 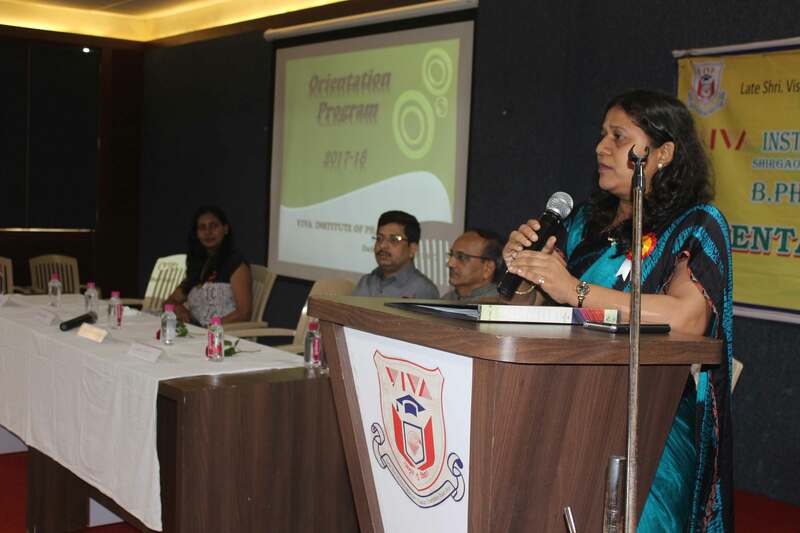 Principal Dr. Sunita Ogale addressed in her welcome speech that “Fame of institute depends on achievements of students and students being part of the institute will always remain in our heart” and wished students success in their life. 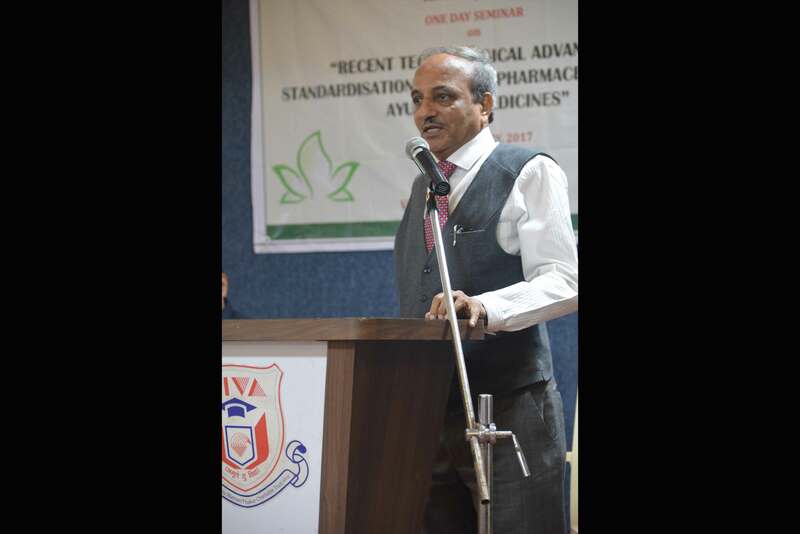 Chief guest, Mr. Subhash Rajkondawar addressed in his speech that “Pharmaceutical industry is competent with standards of USA and Europe, so students should updated and self-disciplined to accept the challenges of ever changing needs of pharmaceutical and health care industry”. 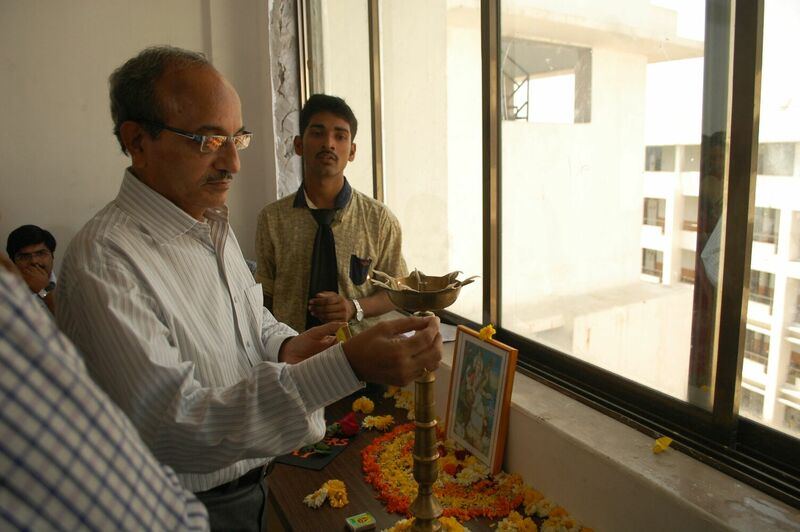 Mr.Bharat Sharma and Dr. Pandey also addressed to students and wished them luck for the bright future. 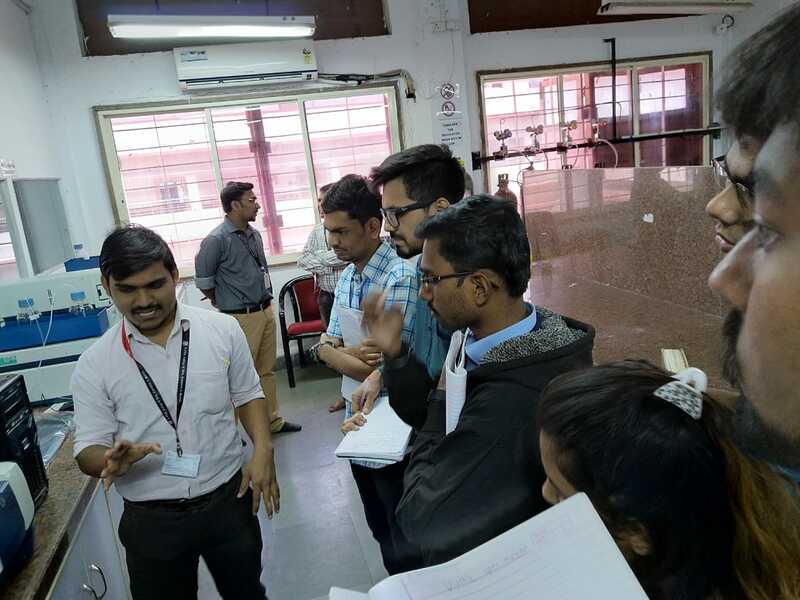 Student from the batch 2013-17, Vivek Shukla shared memorable moments by their batch in the institute. 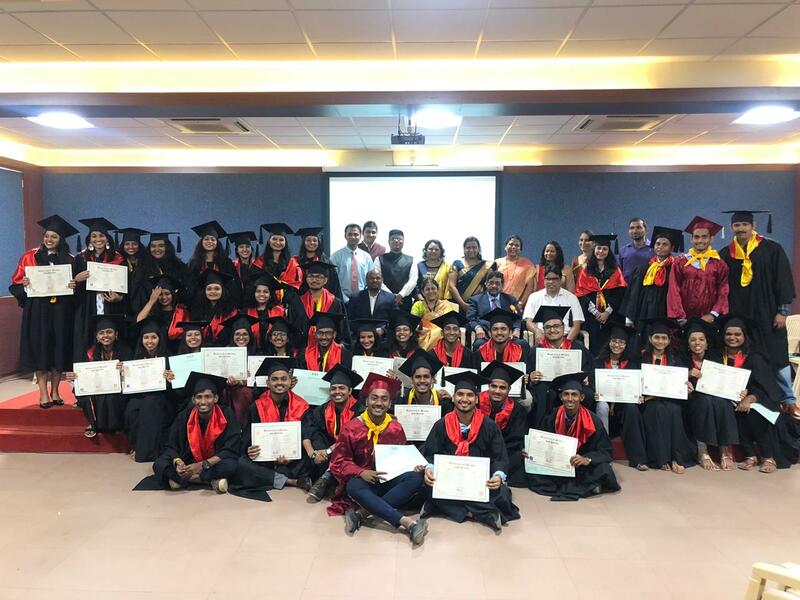 35 students were conferred a degree in “BACHELOR OF PHARMACY” and program concluded with Pharmacist Oath and thanks giving by Mr. Sachinkumar Pandey, Asst. 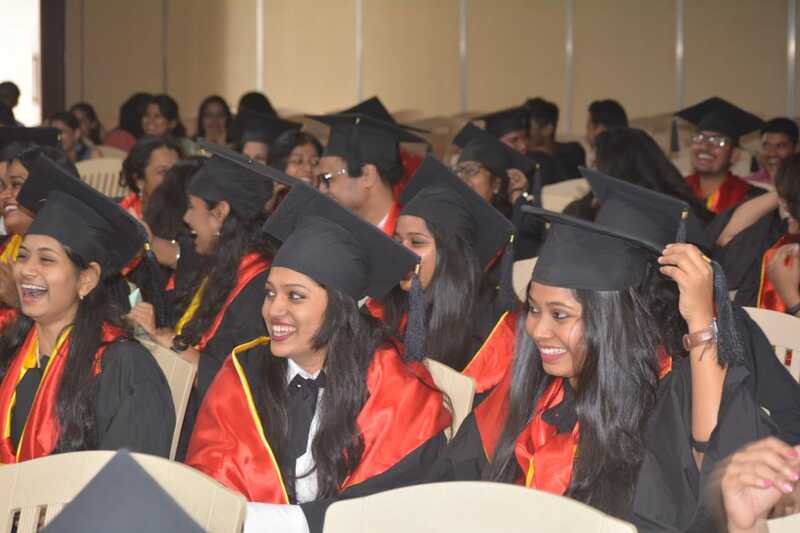 Professor, VIP. 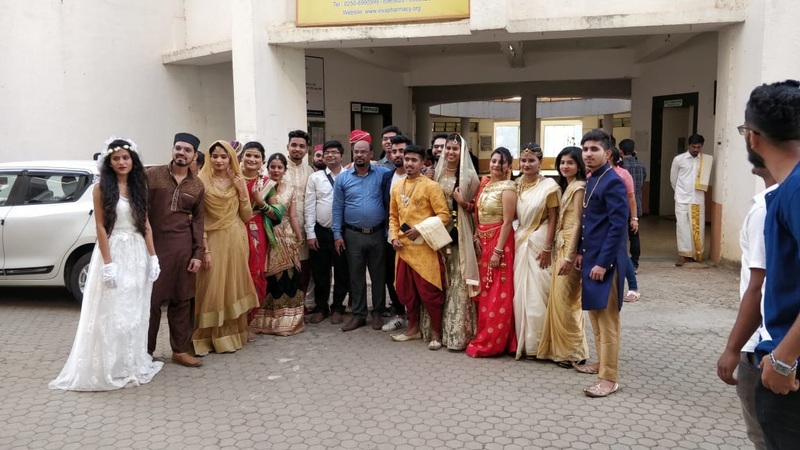 The program was organized by Exam Department of VIP. 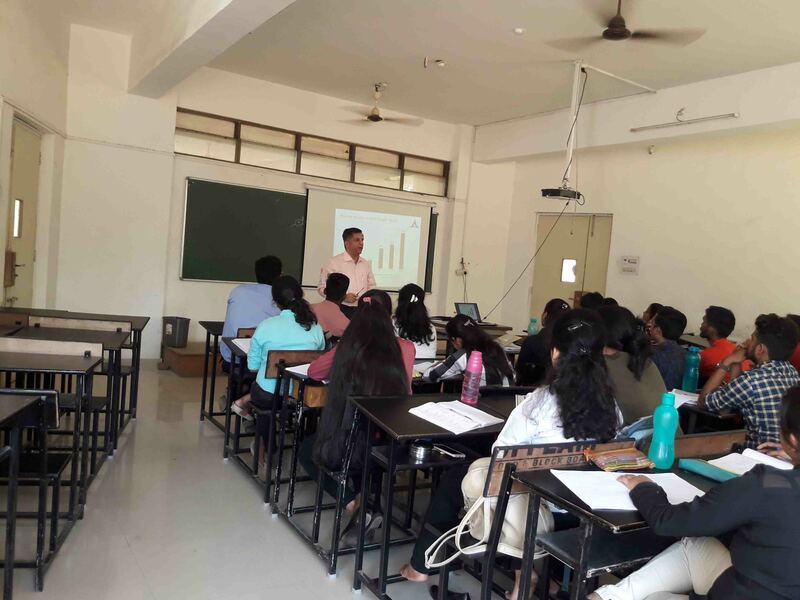 Description : Campus Drive for the current final year as well as passout Pharmacy and BSC Students was conducted on 16 th January2018 at old VIVA campus, for the post of the medical coder by AdvantMed, LLP Ahmedabad. 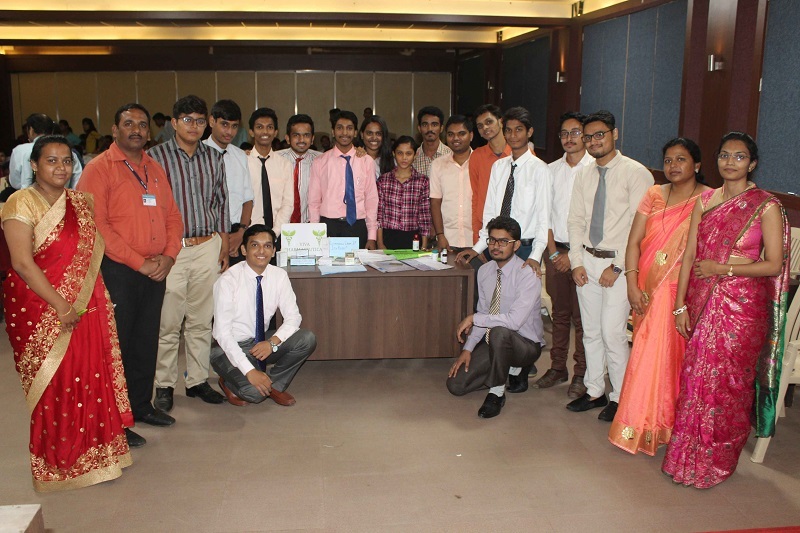 Students appeared for technical round and HR Round. 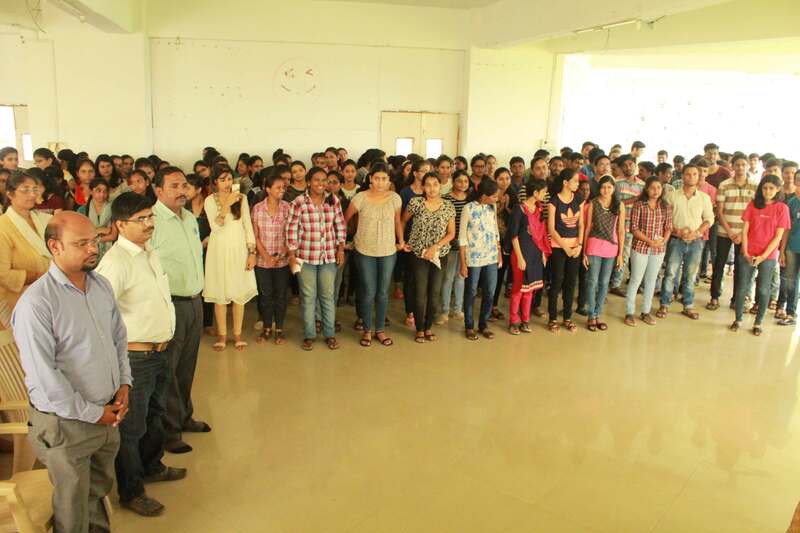 42 students have been selected out of total 60 students. 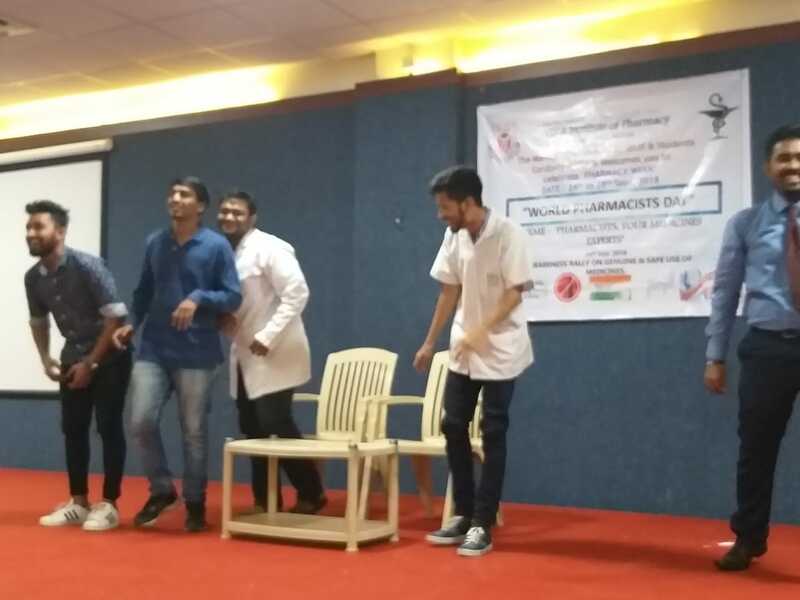 Description : On the occasion of International Women’s Day, VIVA Institute of Pharmacy participated in intra-institute street play on women empowerment at New VIVA College of Arts, Commerce and Science, Virar (West). 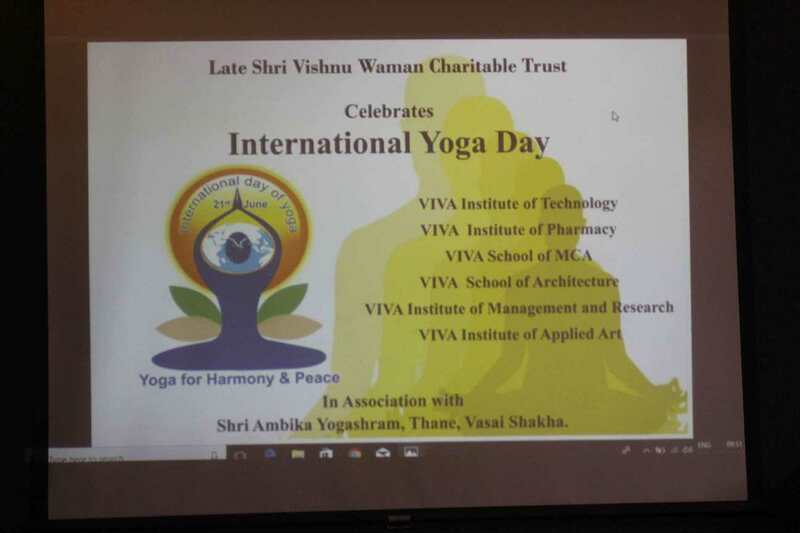 It was a collaborative event that was celebrated by WDC members of all institutes under VIVA trust. 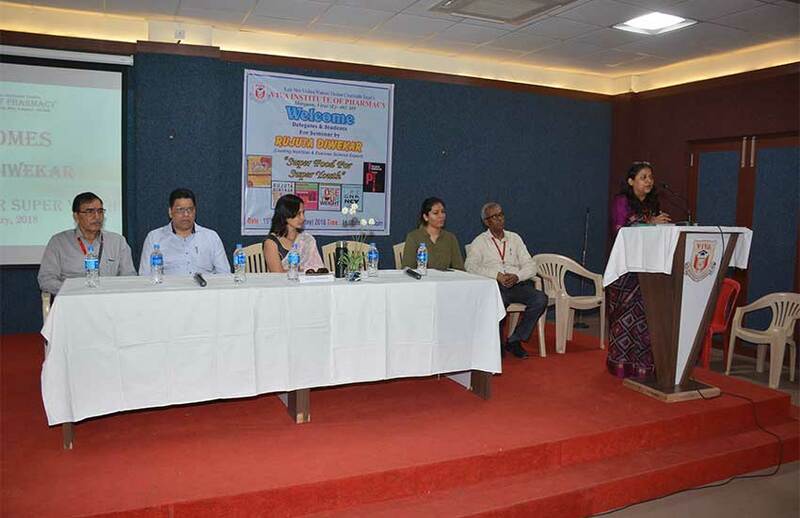 The Function was inaugurated by Veena Gavankar- author of the well-known book “Ek Hota Carver”, I/C Principal Dr. A. P. Pandey, Vice Principal Mrs. Prajakta Paranjape and other principals and members of Women Development Cell from all VIVA Institutes. 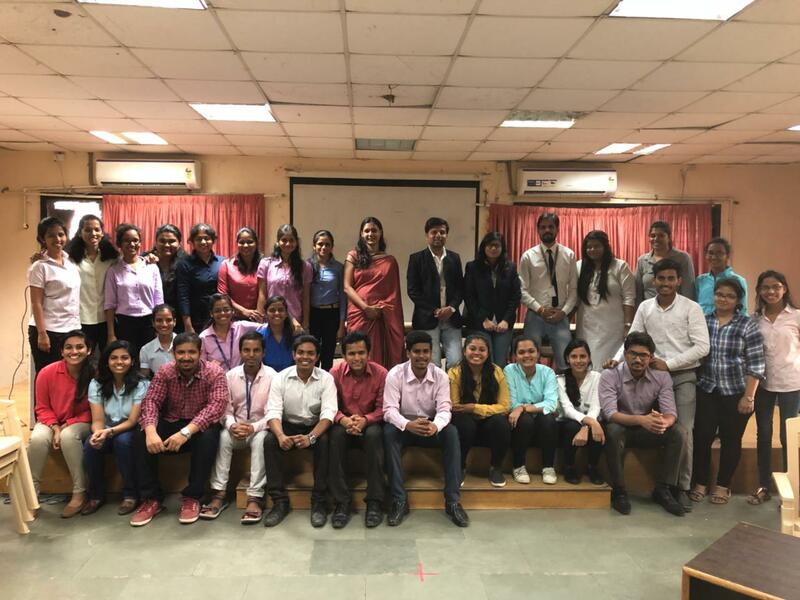 An interactive session was conducted with Mrs. Veena Gavankar, who shared many experiences, addressed on women empowerment and various social issues. 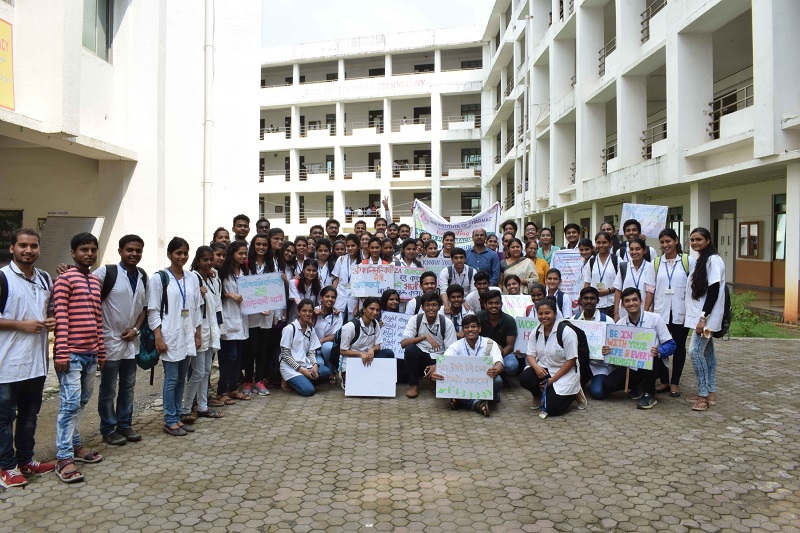 Students of first year B.Pharm. 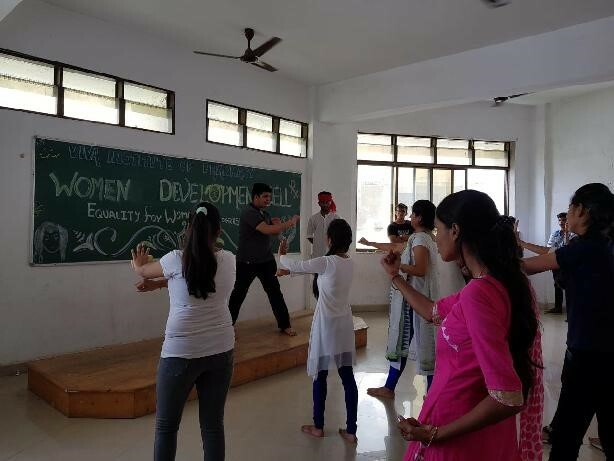 participated in street play focusing on the strengths of women, social issues, gender parity and women empowerment. 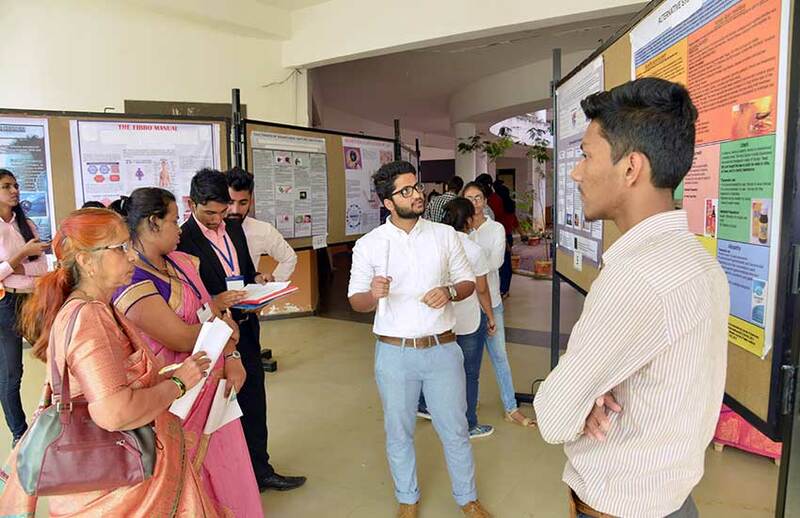 WDC members from VIVA Institute of Pharmacy, Principal Dr. Sunita Ogale, Mrs. Sushruta Mulay and Ms. Hitakshi Makasare were present for the event. 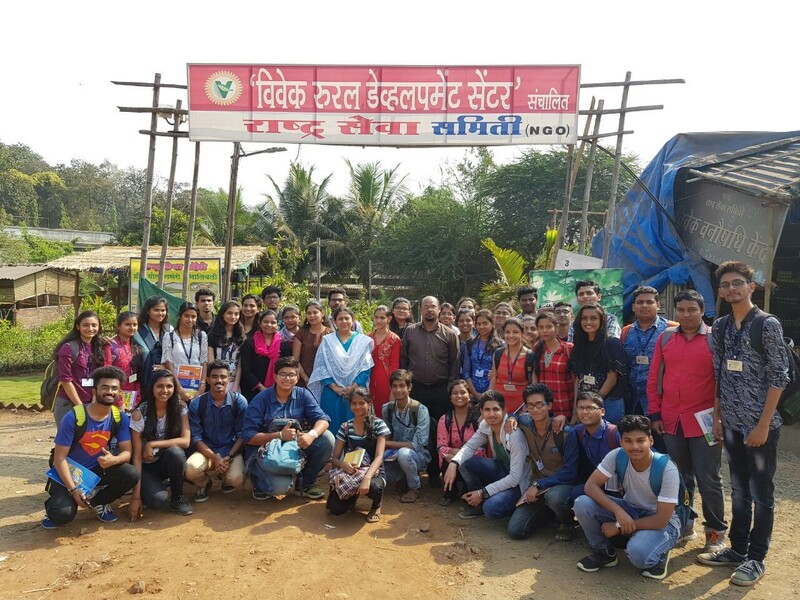 Description : Field visit for first year B.Pharm students was arranged by VIVA Institute of Pharmacy at Vivek Agro Tourism which is one of the various branches under NGO Rashtra Seva Samiti at Bhalivali, Virar, along with few faculty members. 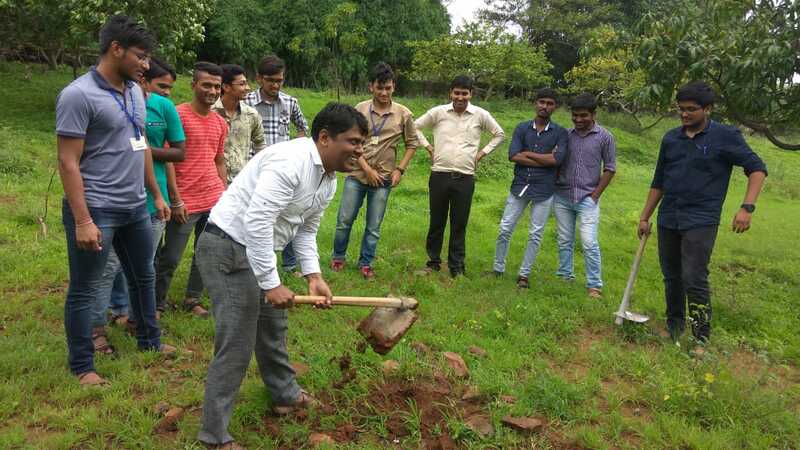 Agro Tourism is broadly defined as activity which involves any agriculture based activity that brings visitors/guests towards farm or ranch. 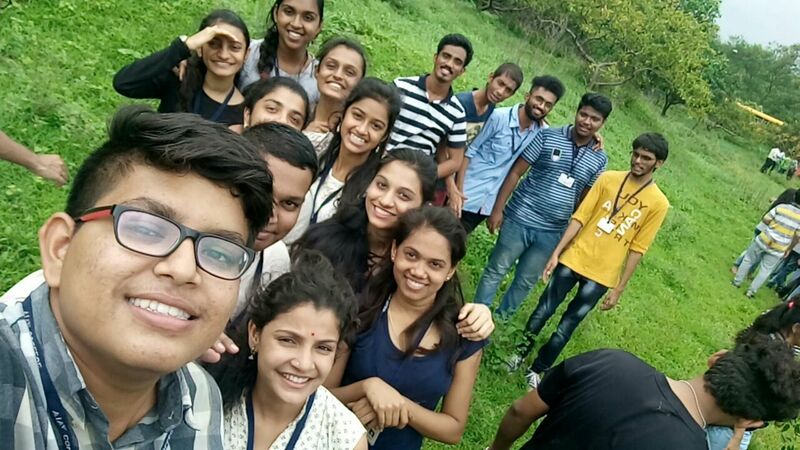 Our students and faculty experienced the village life along with various agricultural activities like organic farming, harvesting, farm animals, growing of various organic vegetables and fruits, vermicomposting, village art and crafts, botanical garden with variety of plants included in their academic curriculum. 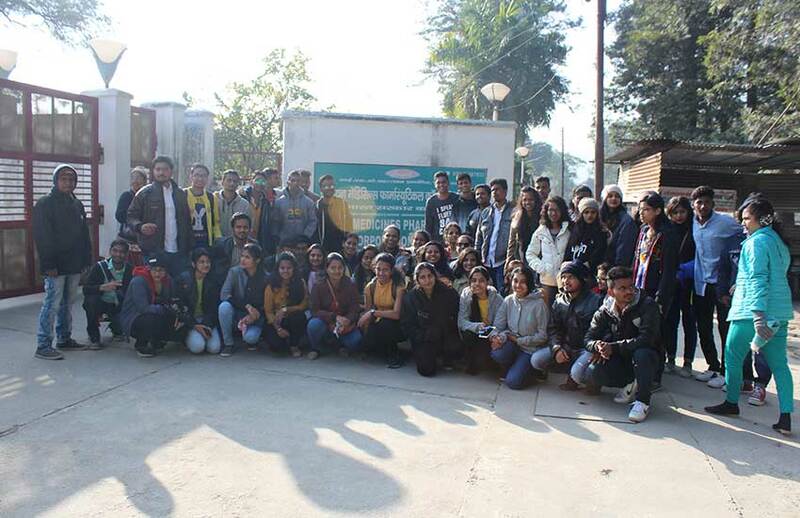 Students also got a chance to feed farm animals, play with birds, rabbits, guinea pigs. 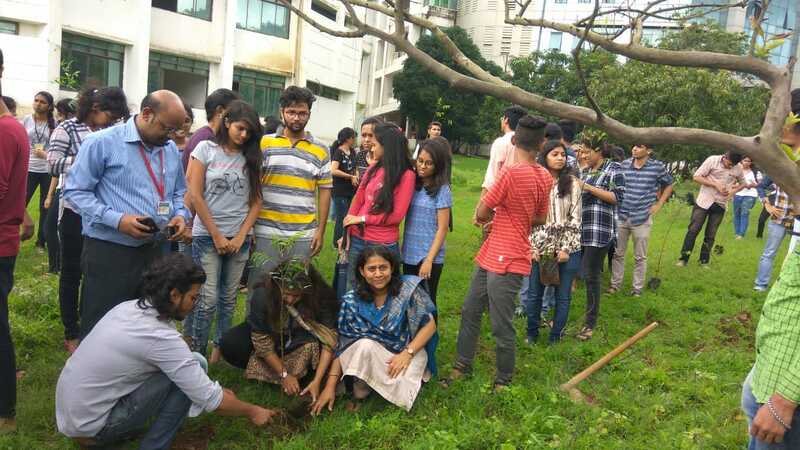 Students got a good exposure to the natural ecosystem which is very rarely possible in concrete jungle. 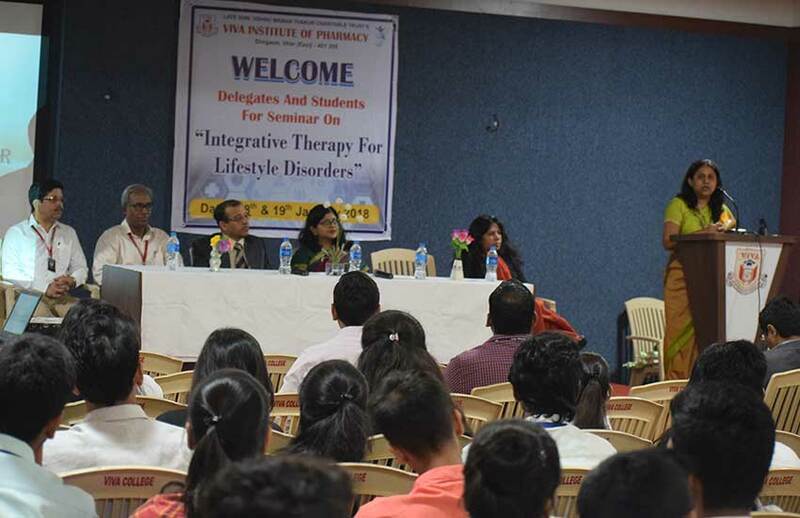 Description : Seminar on Integrative therapy for lifestyle disorders was organized by VIVA Institute of Pharmacy, virar. 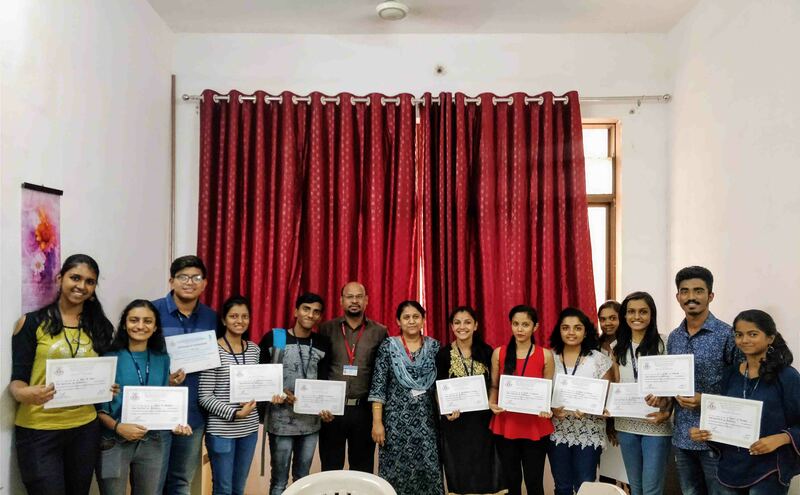 The objective of seminar was building awareness about unhealthy choices people blindly make about their diet, sleeping patterns, sedentary lifestyles. 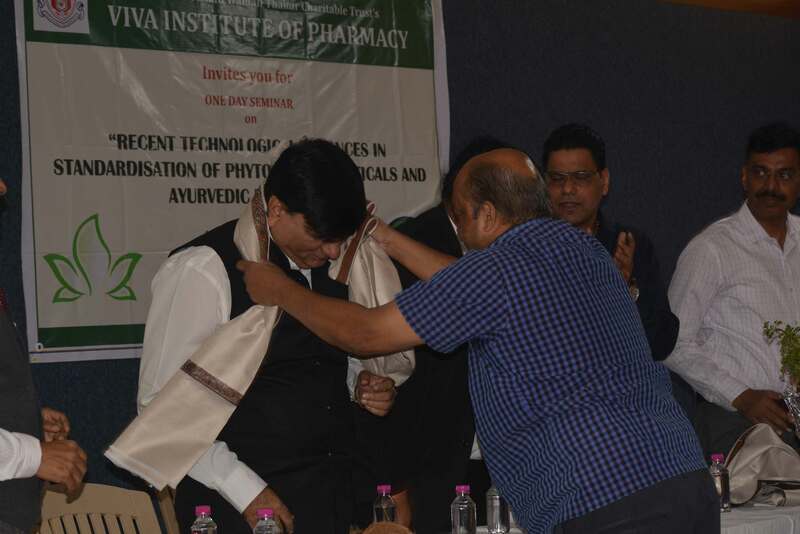 Being an integral part of healthcare team we pharmacist should concentrate first on wellness rather than illness. 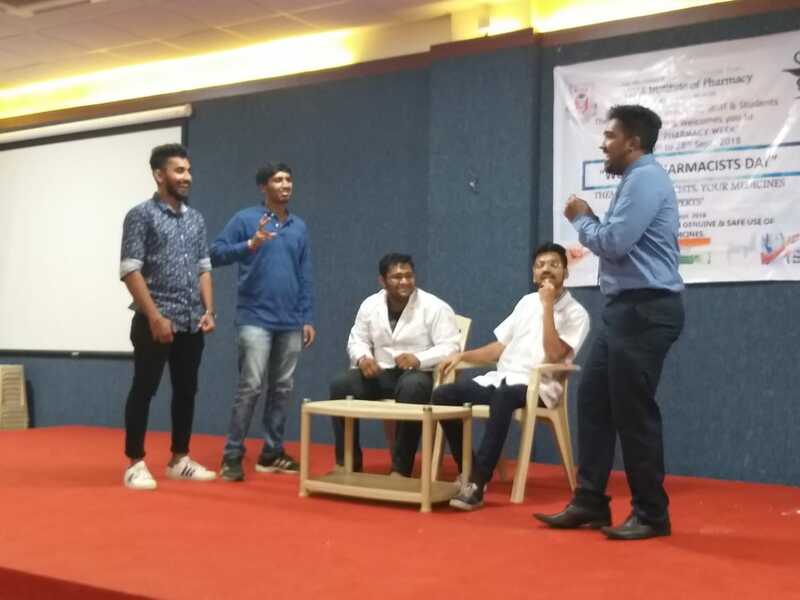 Work-life balance Discussed about correct handling of the work, career goals, ambition and money and how to balance family and professional life. 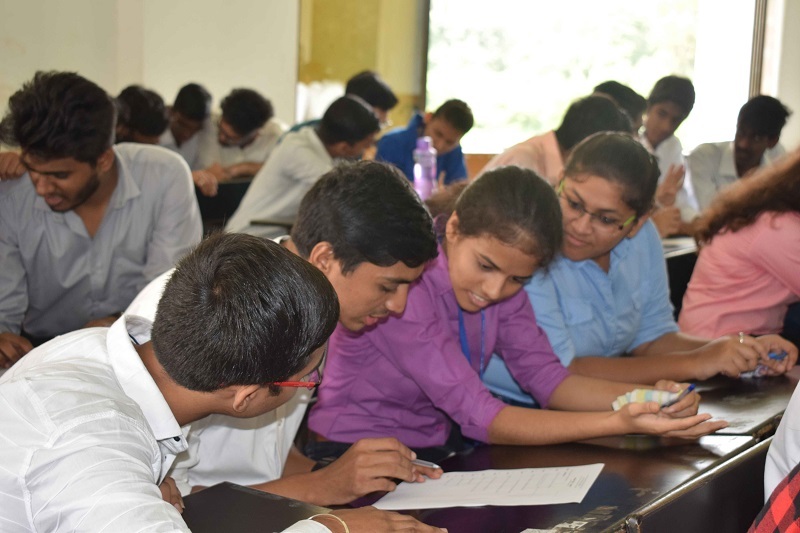 Issues of parents, spouse and children, neighbors and friends. 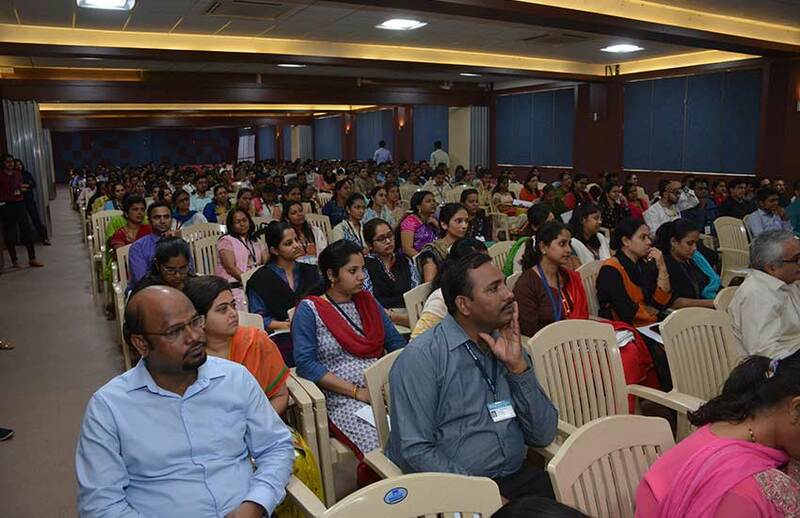 Explained reasons for stress/ imbalance in teaching profession and due to this many health issue arises like blood pressure and diabetes, acidity, mental disorder etc. 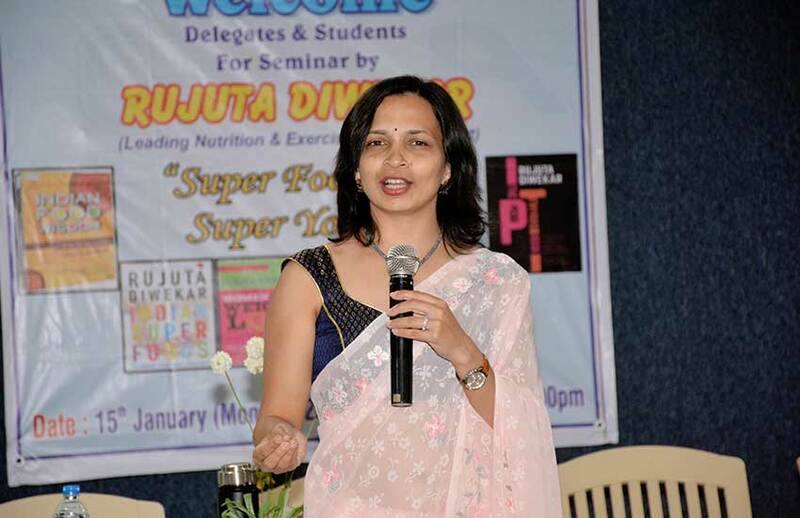 Description : Winner of the nutrition award from Asian Institute of Gastroenterology, Rujuta Diwekar is India’s leading nutrition and sports science expert. 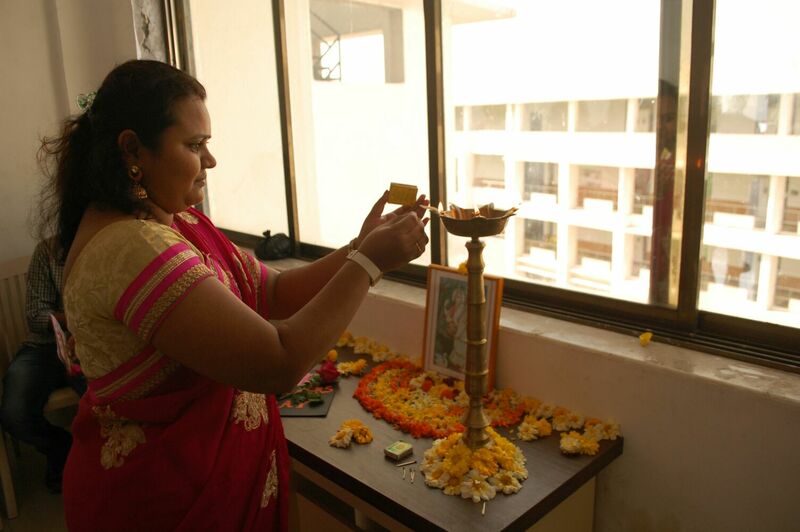 She is voted as the 50 most powerful people in India by people magazine in 2012 and is also author or 5 best-selling books. 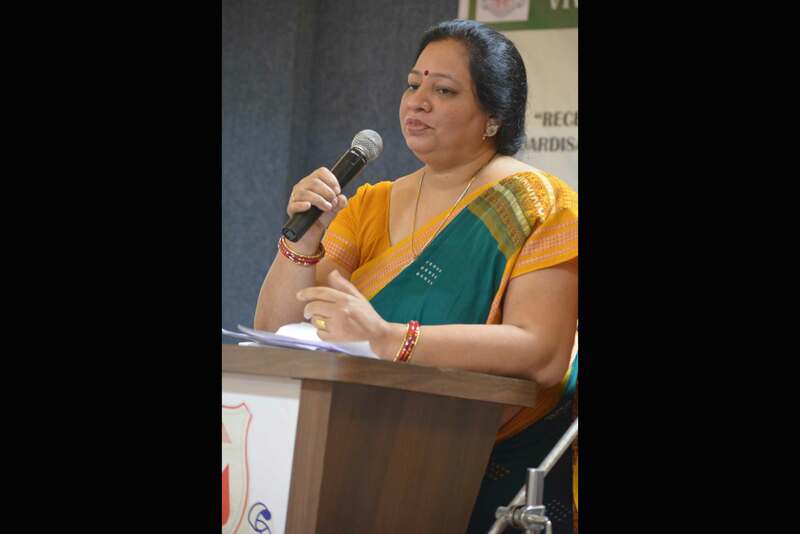 She is the one who believes in the “healing power of food”. 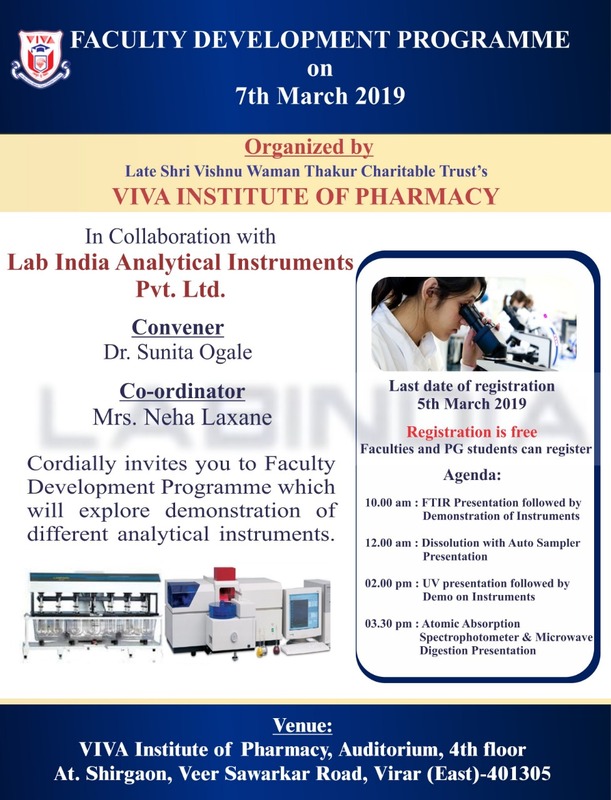 Viva Institute of Pharmacy has arranged the seminar for different institutes under VIVA trust. 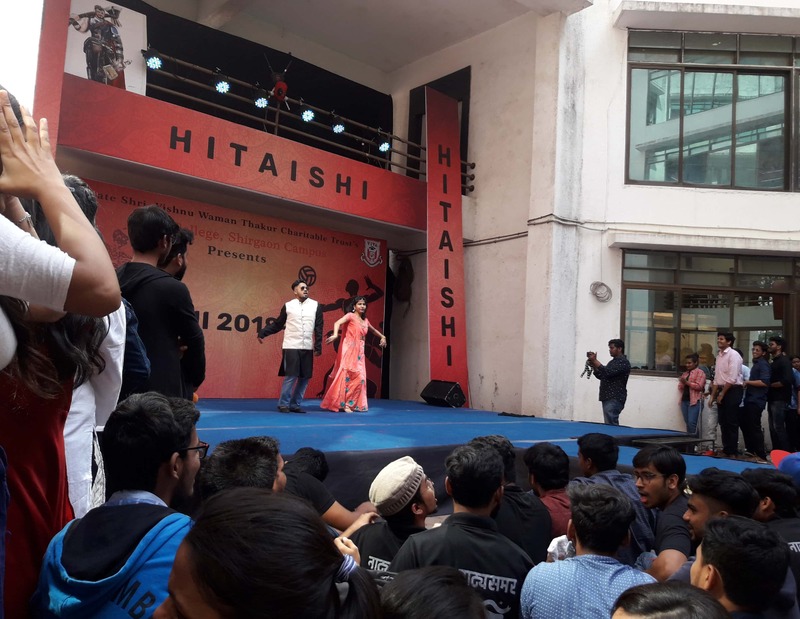 The basic intension behind it was to create awareness to develop precise lifestyle by adopting healthy diet habits and regular physical exercise. 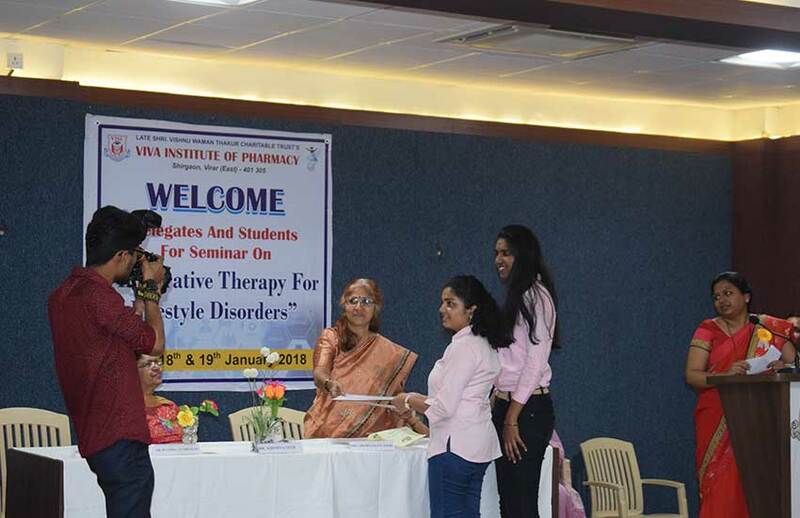 Seminar was commenced with welcome speech by Principal Dr. Sunita Ogale, followed by felicitation of Rujuta Siwekar by Ms. Aparna Thakur, secretory VIVA Trust. 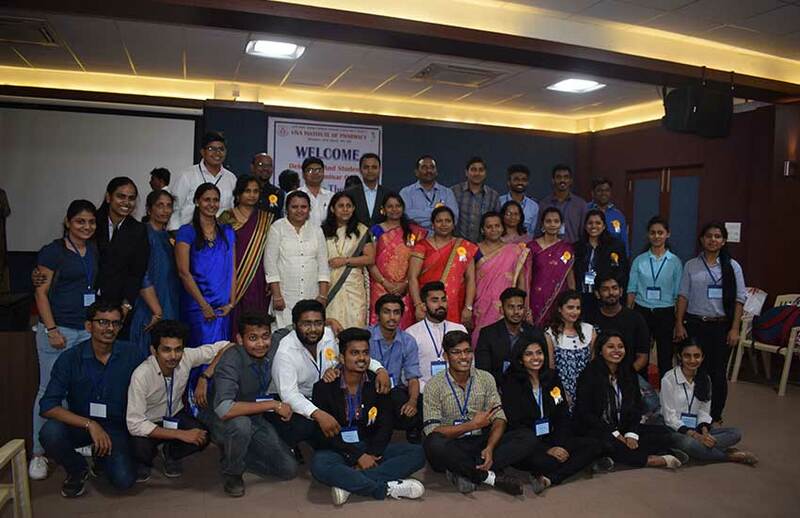 Dignitaries were Mr. Shikhar Thakur, Treasurer, VIVA trust and principals, faculties and students of different institutes under VIVA trust. 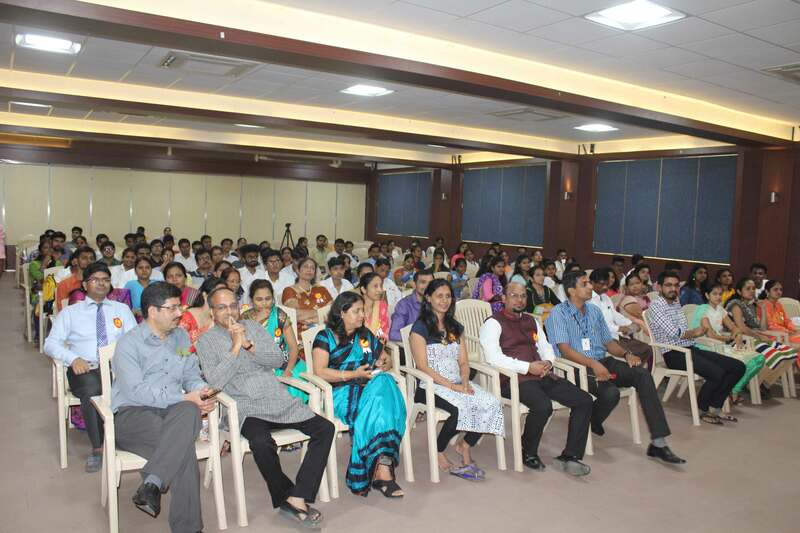 In the welcome speech, principal explained, diet and physical activity plays a major role in our daily life. 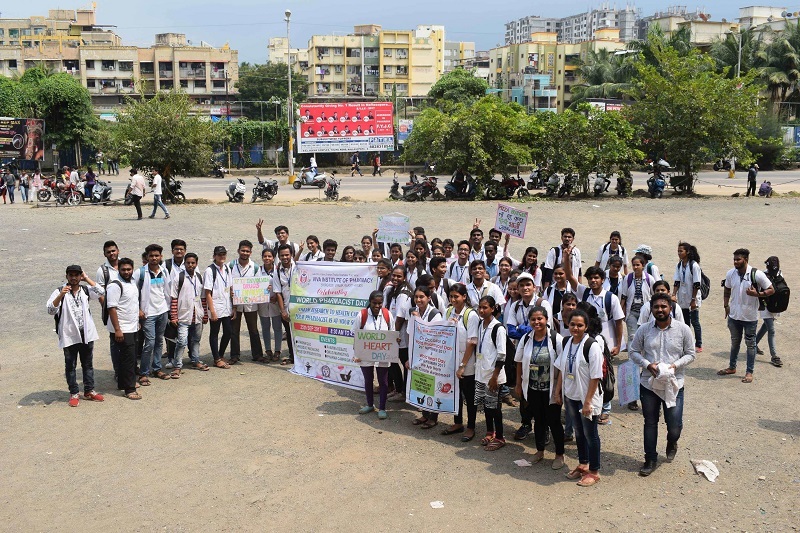 Being pharmacist our role is not only restricted to dispensing medicines, but to create awareness and to counsel the people to adopt the precise lifestyle so that minimum number of medicines should be used. 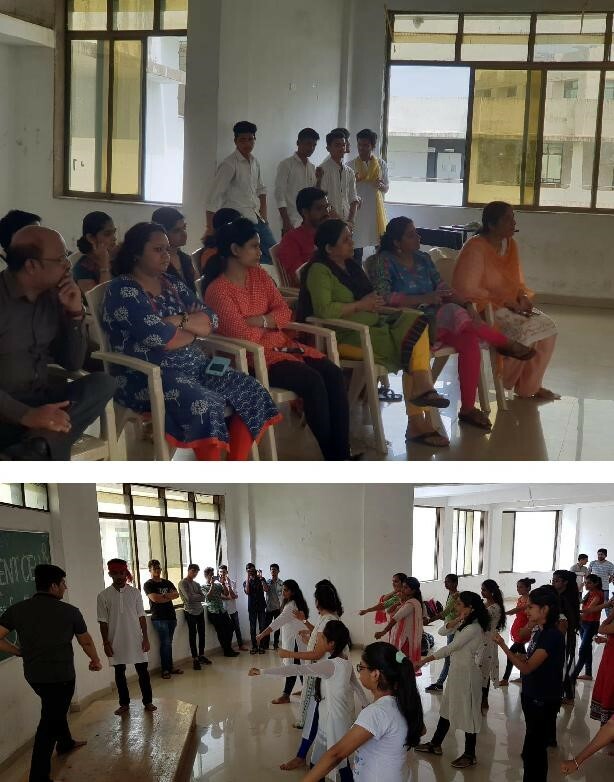 Session by Rujuta Diwekar Explained concept of “DALY- Disability Adjusted Life Years” DALY is how long you can live till you do not need a drug to control any disorders/diseases. 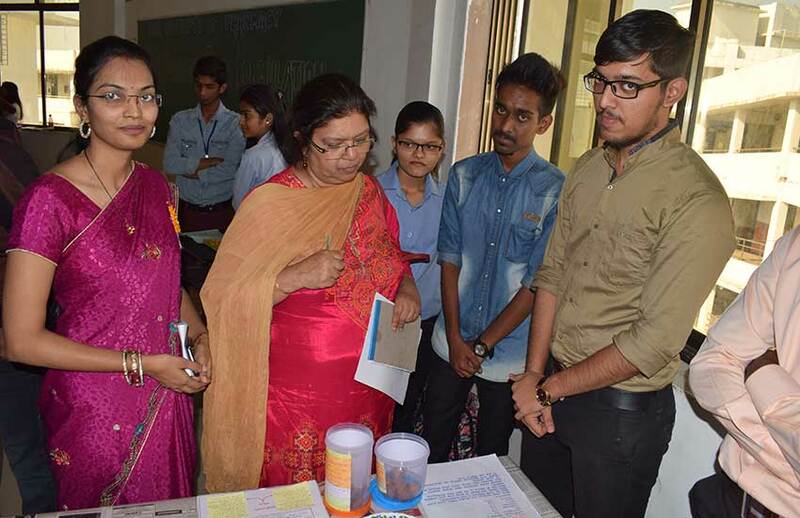 She explained the importance of consuming healthy food habit which can allow the people to live their life without popping a pill. 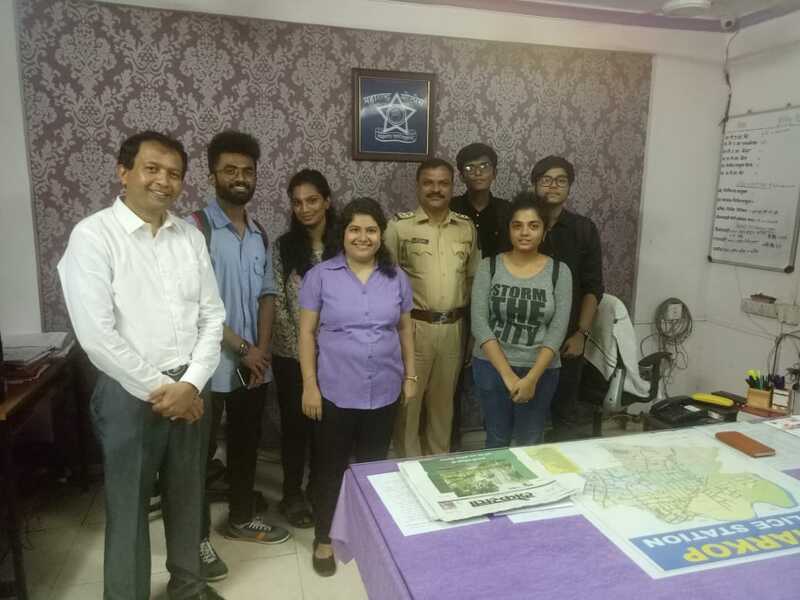 While obesity is major concern for youth of India today, she explained weight reduction should be strengthening muscles along with loosing fat. Explained importance of right food in diet, food which is local, which improves economy and ecology, less pollutes the environment due to transportation, less preserved by pesticides should be preferred by consumers. 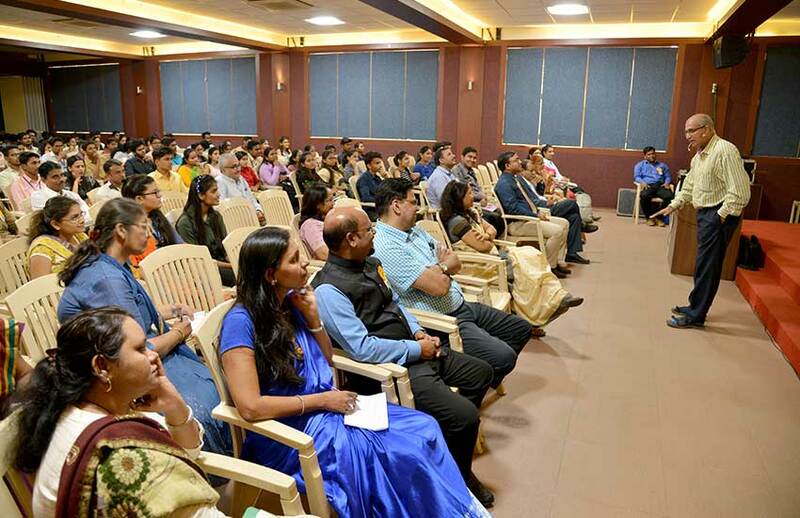 She stressed on eating banana daily as it is a super food, acts as a prebiotic and prevents bloating. 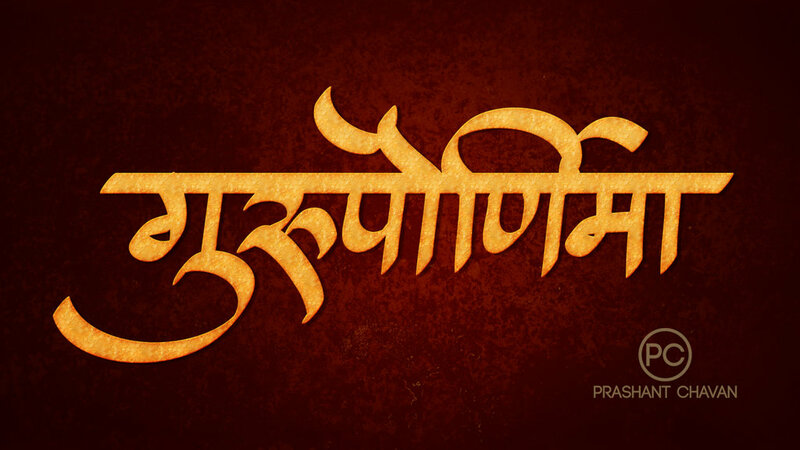 Mango, Chiku, Sitafal, Jacfruit and grapes are local fruits should be eaten regularly. 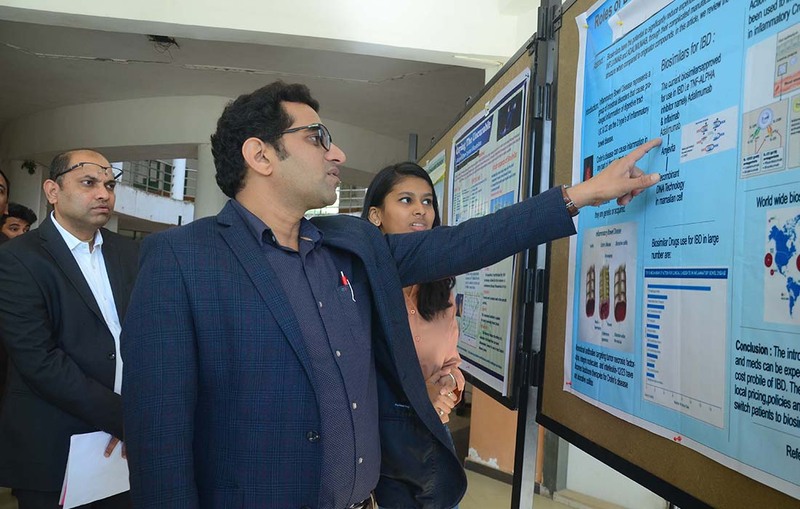 Emphasised that rice is important in diet as it contains branched chain amino acids and has a complete profile of nutrients, easy to digest &amp; gives good sleep. 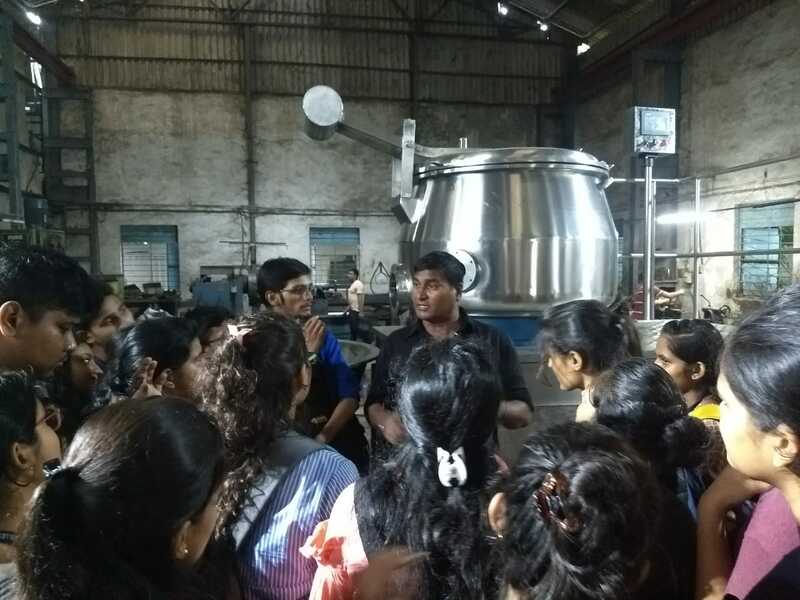 Explain nutritional importance of Khichdi as national food . 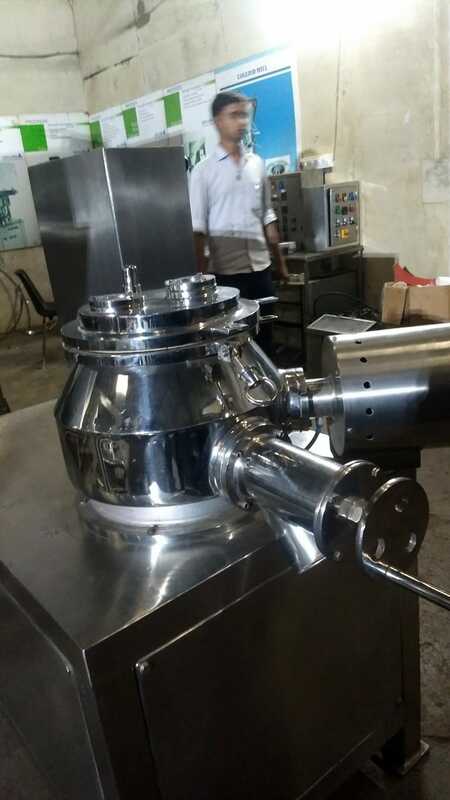 She has given nutritional information of Jawar, Bajara, Banana flour and Banana flower which are traditional food. 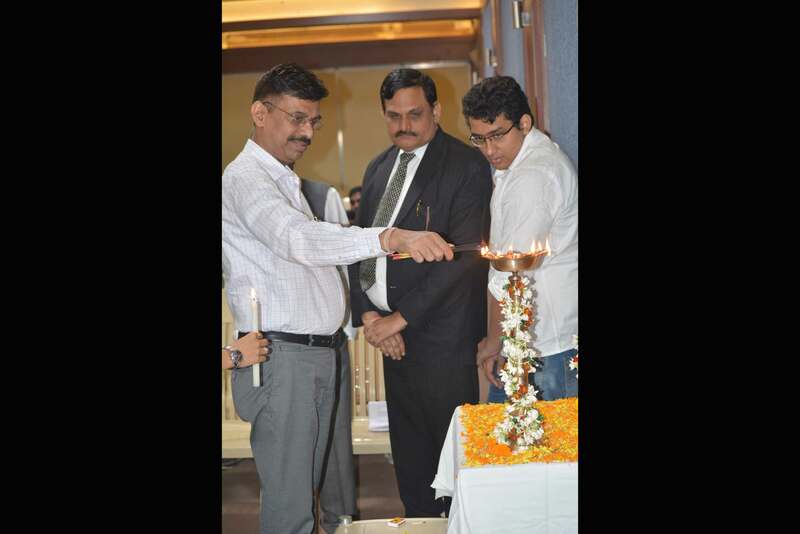 Ghee being local and native is a superfood. 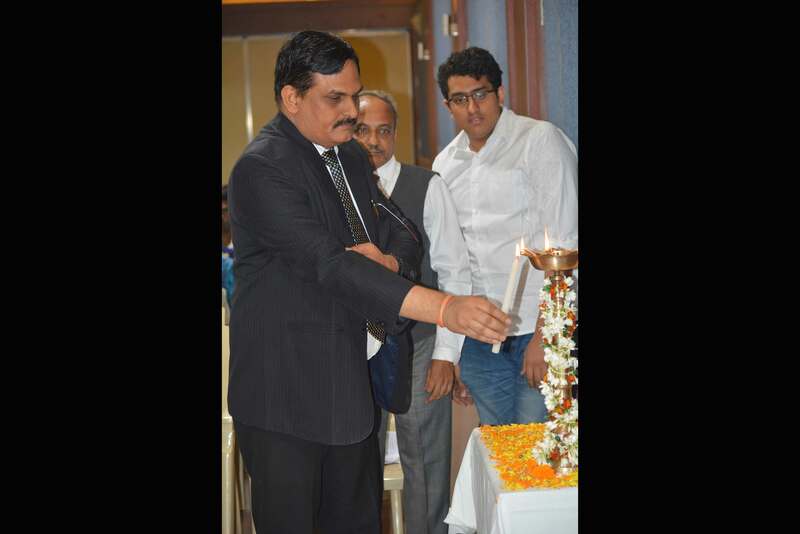 Ghee also contains vitamin A, D and E. Seminar was ended by vote of thanks. 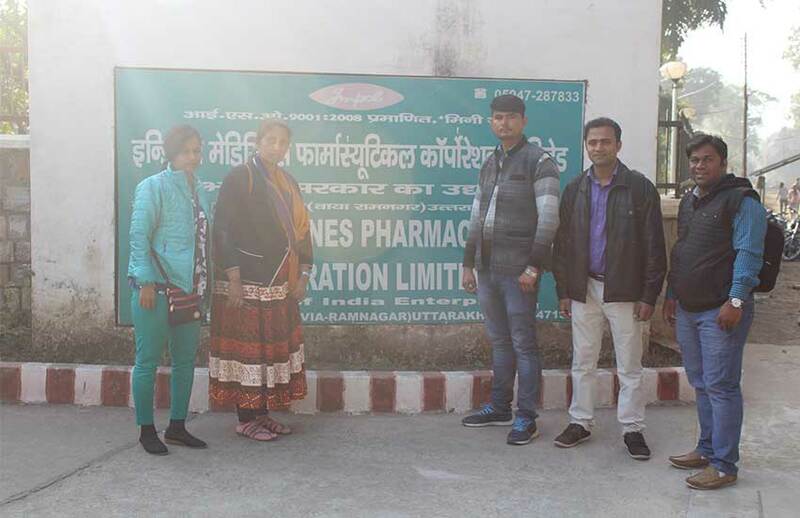 Venue : INDUSTRIAL VISIT TO IMPCL, Mohan, Uttarakhand. 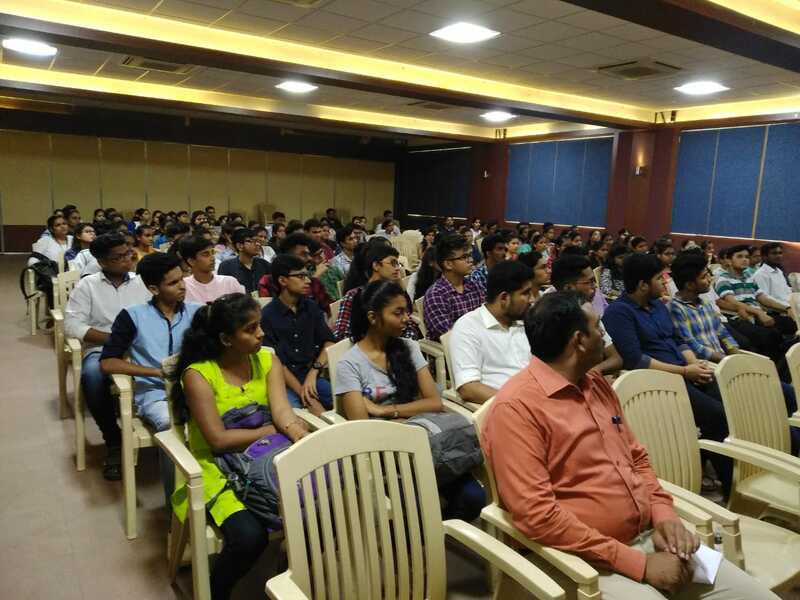 Description : Orientation Day was celebrated on 9 th September 2017 by our institute for parents and students of first year with a view to make students well acquainted with Institute’s atmosphere. 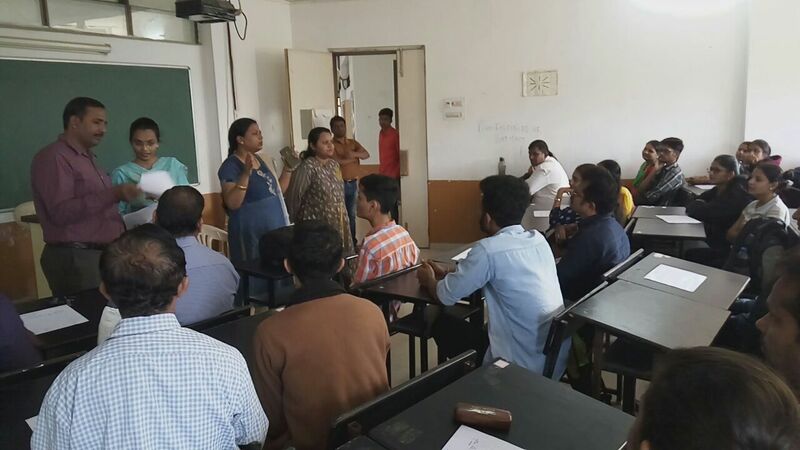 Principal-Dr. Sunita Ogale addressed students regarding Pharmacy as a technical profession and it’s expectations. 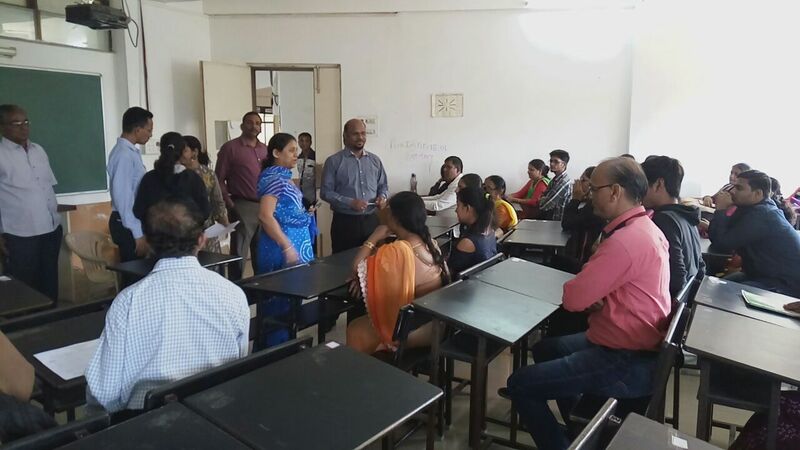 Presentation of virtual tour of institute, examination rules, curriculum and cocurricular activities were explained by faculties of VIVA. Dignitaries were Dr. R.Kabnurkar, ex- Principal of VIVA, Mr. Bharat Sharma of Ganga pharmacy and Principal of VIVA Management studies. 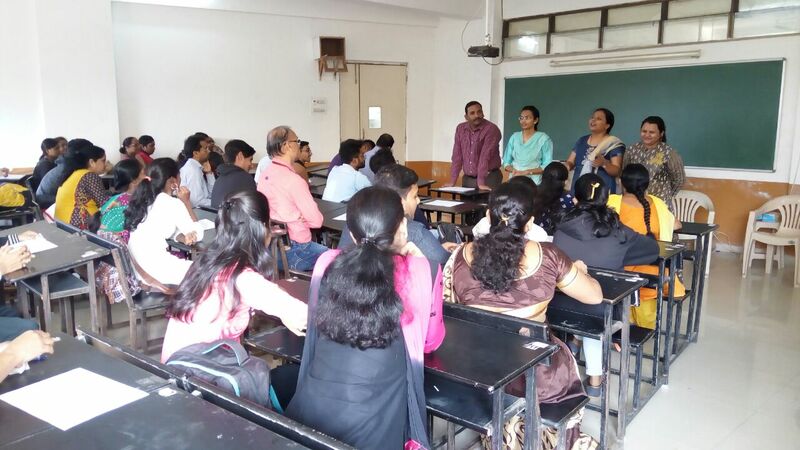 Seminar on ‘CAREER OPTIONS IN PHARMACY’ was delivered by guest speaker, Mr. Rajendra Talele- M. Pharm. 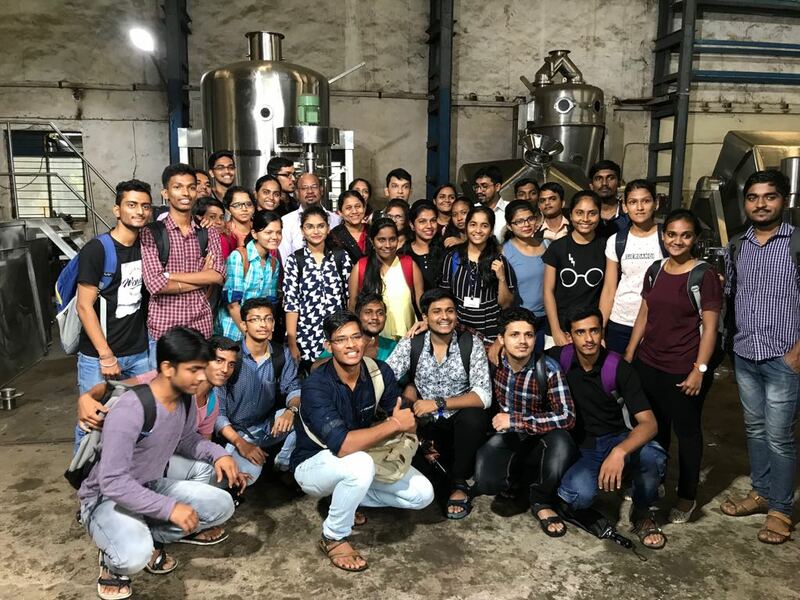 (Pharmaceutical Chemistry) and MBA, experienced in formulation and development department of reputed Pharma. 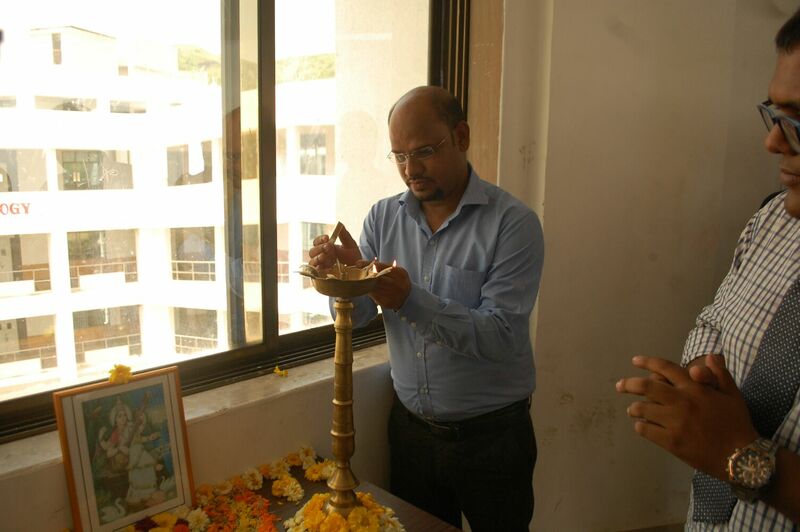 Industry and Presently Head of Department for ‘Clinical Development Services’ of a leading CRO based out of Mumbai. 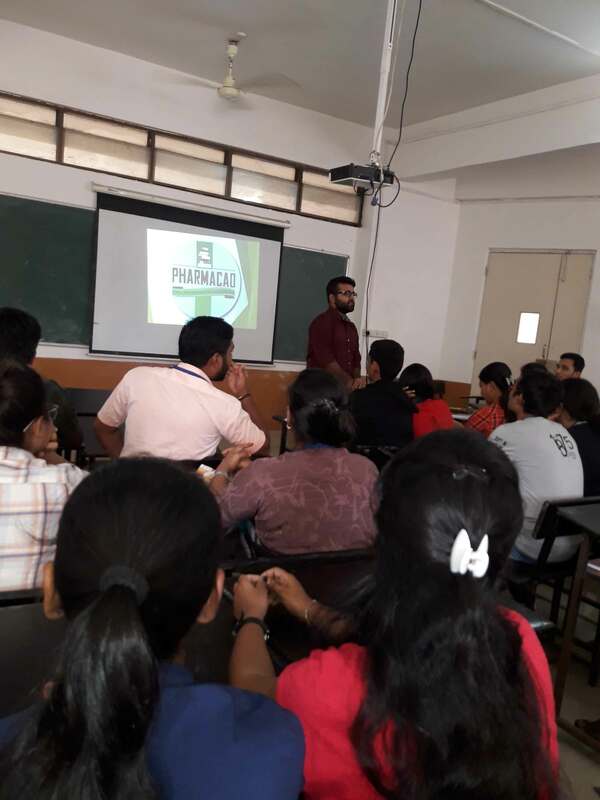 He explained about Academic, Government and NGO opportunities as add on careers in pharmacy presently and many opportunities as entrepreneurs. 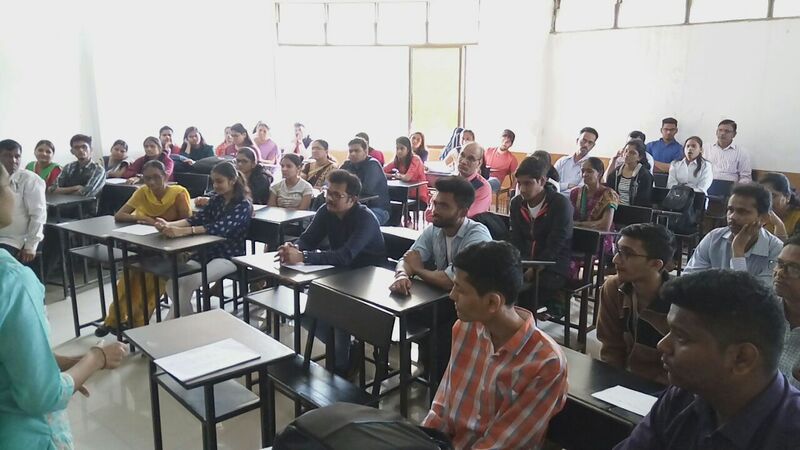 Lecture enlightened the students in a true sense. 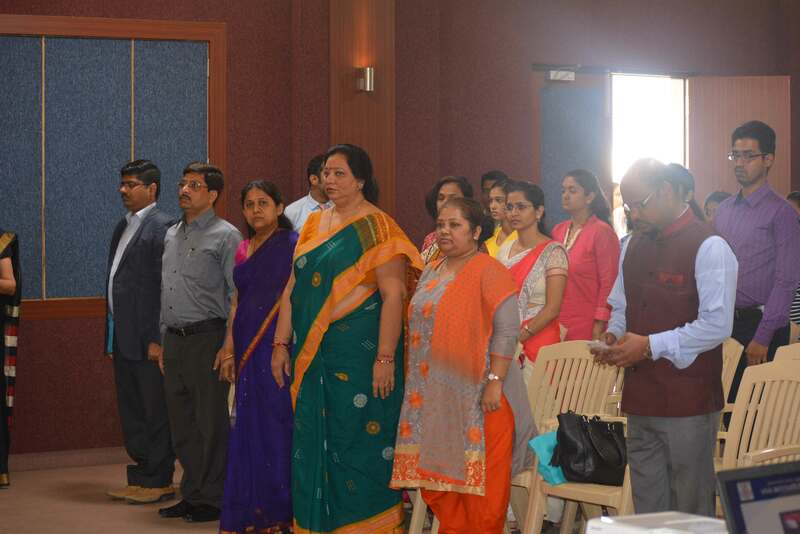 Programme was ended with vote of thanks. 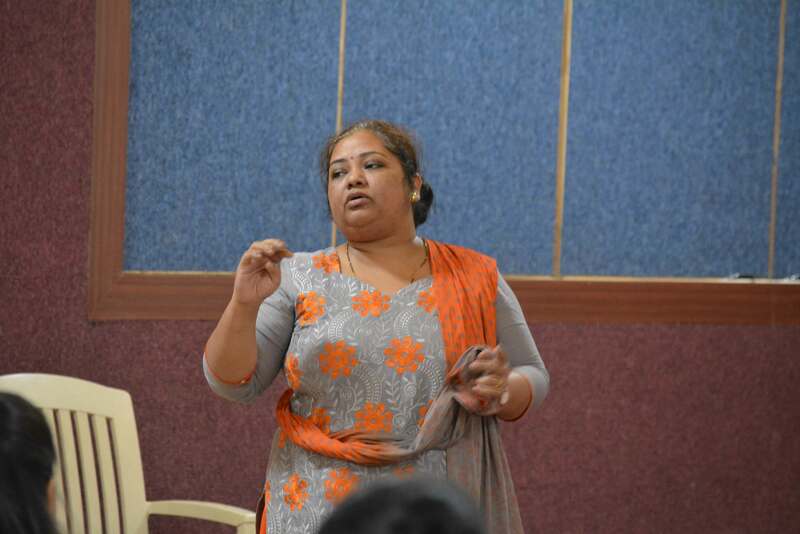 Description : Principal Dr. Sunita Ogale informed about Quit India Movement invoked by our Prime minister, Narendra Modi to encourage all countrymen to act to expel problems like corruption, terrorism, castism, communalism, poverty and dirt from our country to make New India. 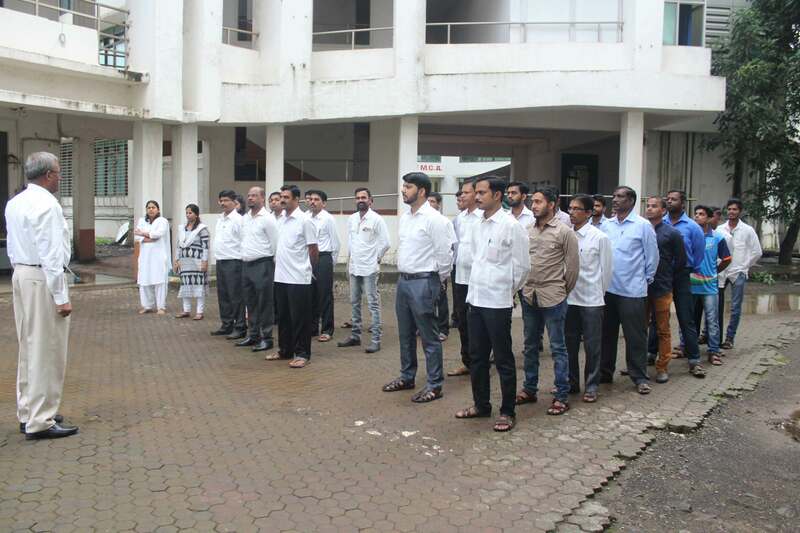 So madam requested everyone to take pledge for contributing in above movement. 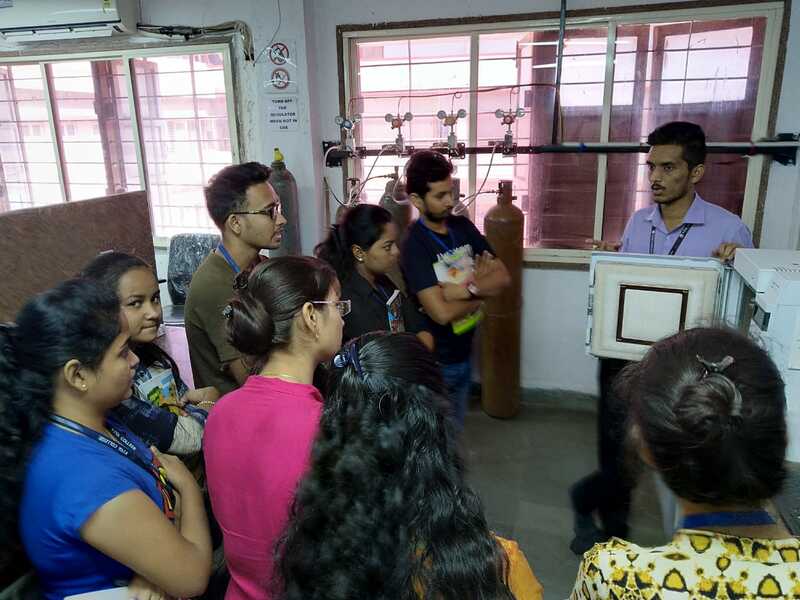 Description : Guru Purnima was celebrated on 13Th July 2017, at VIVA Institute of Pharmacy.The programme was commenced with Guru Vandana.Third year student, Kripa explained importance of gurus in our lives with a scientific example of a circuit breaker who takes the excess load and surcharge electricity to prevent the apparatus from damage. 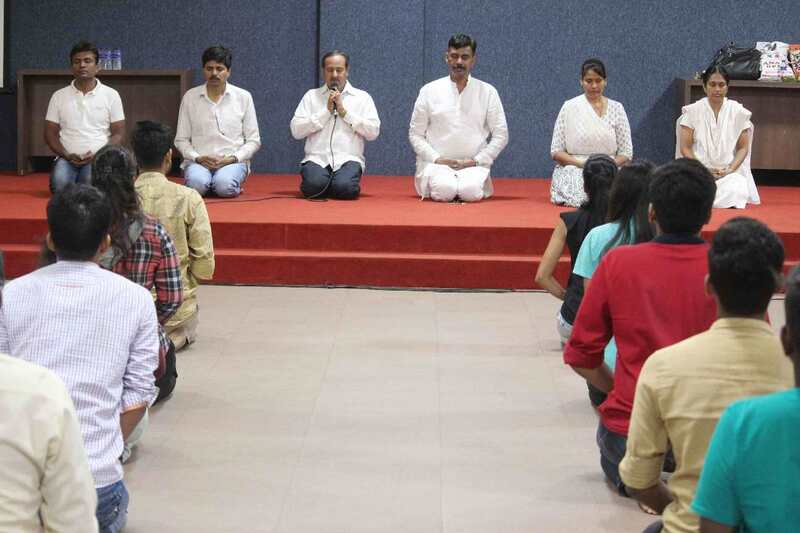 Students, Saket and Mahadeo illustrated dedication of student to guru by giving example of Eklavya. 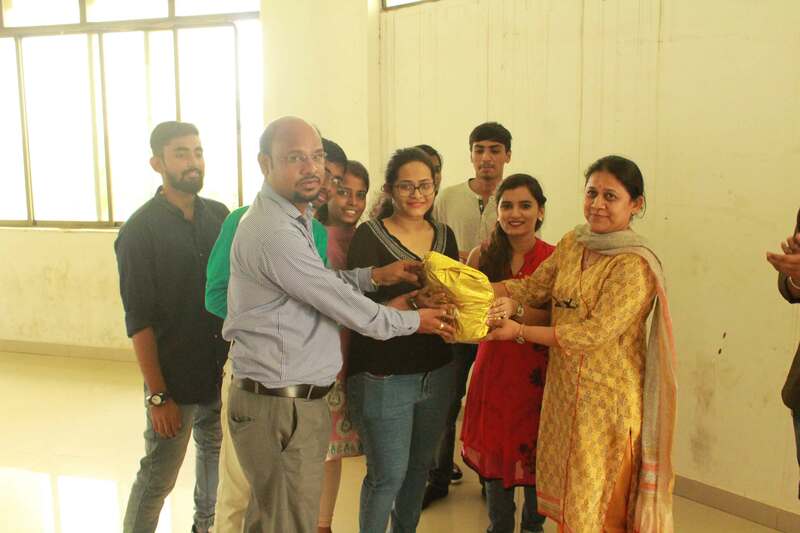 An idol of goddess Sarasvati was conferred to the institute on behalf of the students. 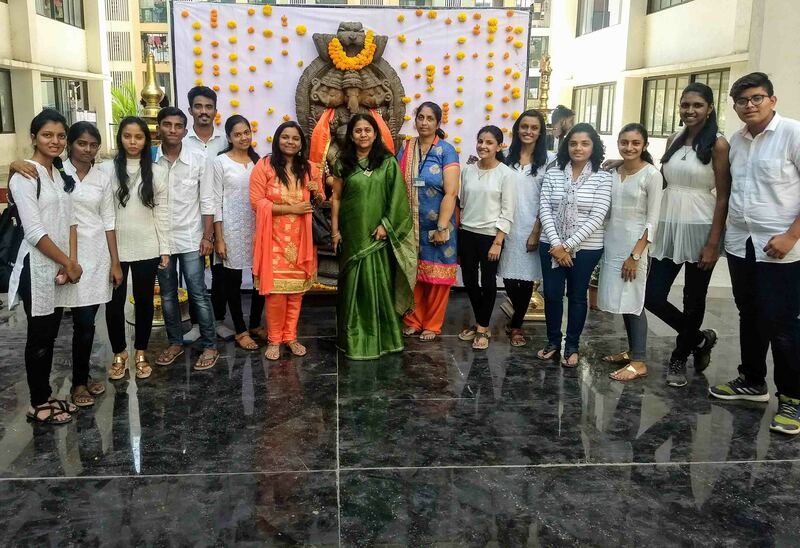 Our Principal, Dr. Sunita Ogale shared her pearls of wisdom and explained the importance of guru in life and emphasized that guru shishya relation should remain as sacred as before. 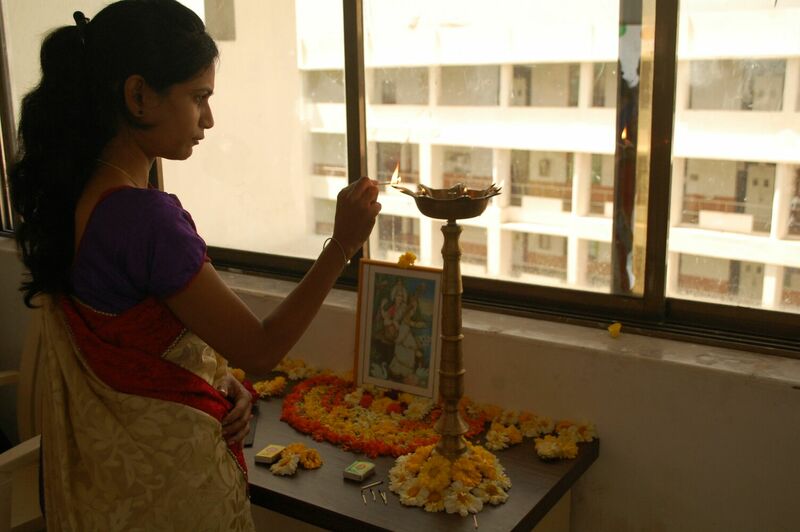 The programme ended with a Sarasvati Poojan by Mrs Mugdha Phatak. 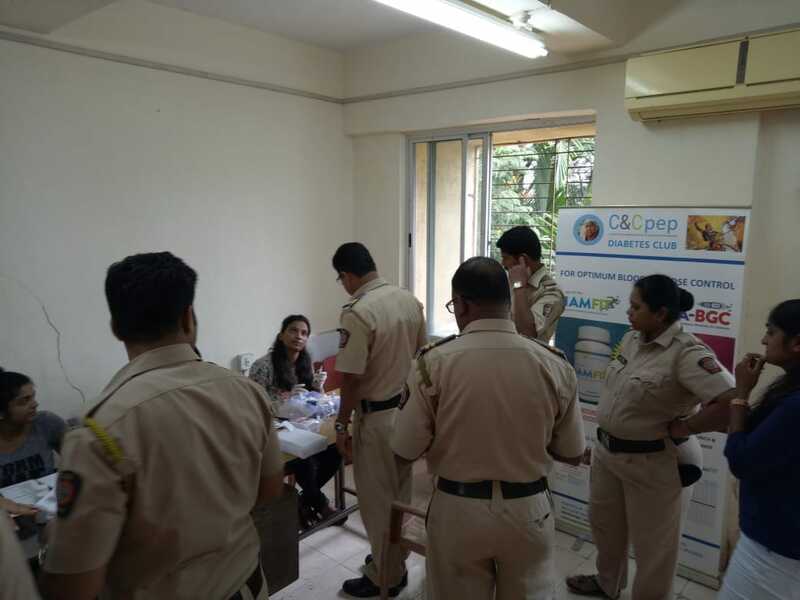 Description : COLLABORATION WITH NAIR BLOOD BANK & Lions club The blood donation camp was arranged at churchgate railway station on 13th June 2014. 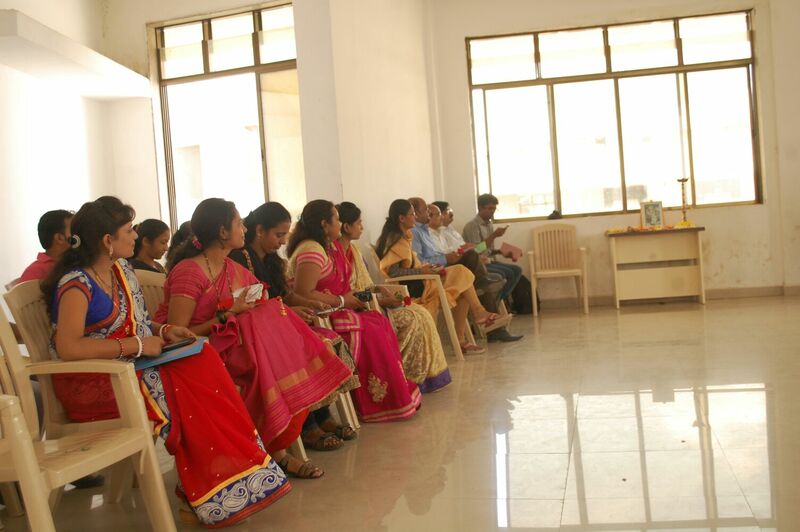 The camp was done with collaboration of Nair hospital, IPA-MSB-SF & lion’s club. 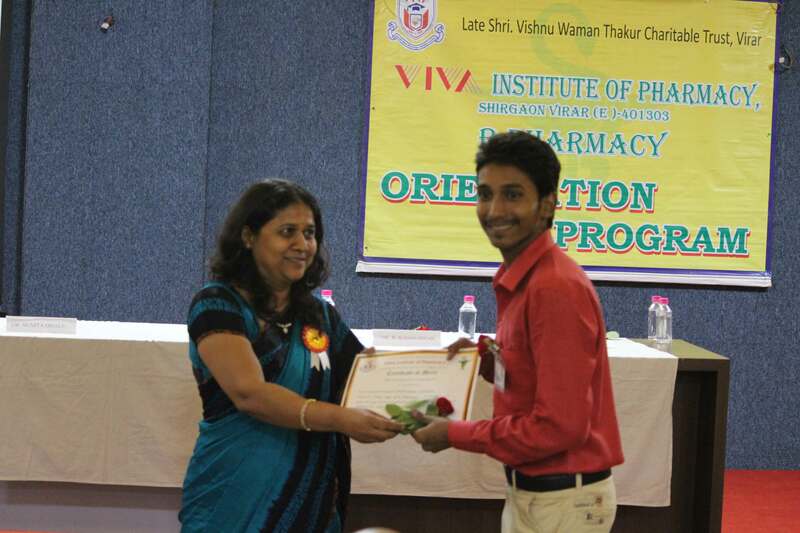 Total 13 volunteers of VIVA institute of pharmacy, virar was involved in this program. 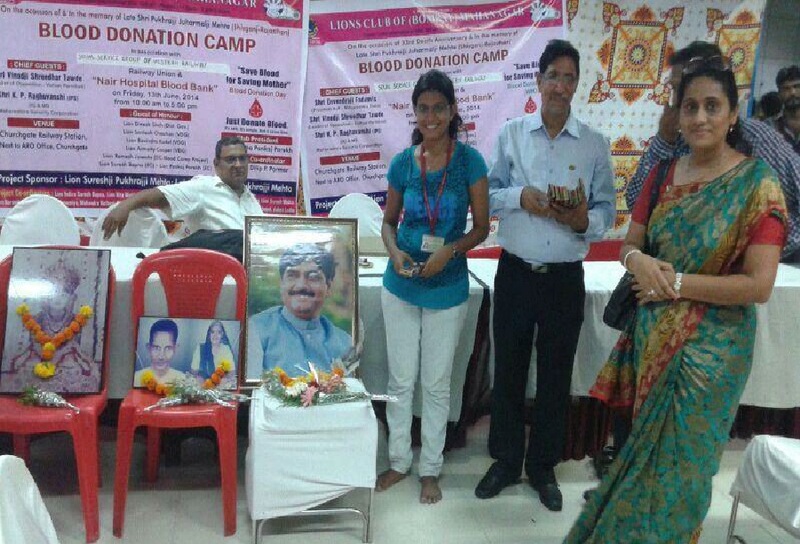 66 unit of blood was collected. 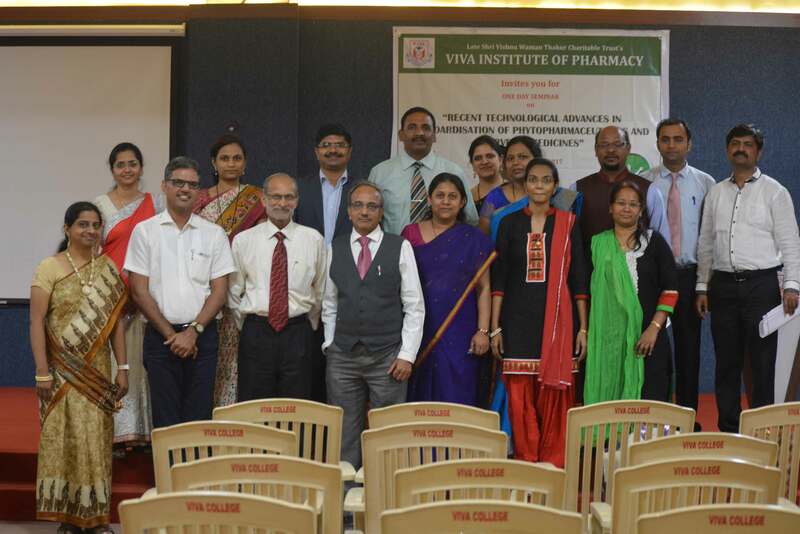 Description : Viva Institute of Pharmacy, Virar (East), organized one day Seminar on, “ Recent Technological Advances in Standardization of Phytopharmaceuticals and Ayurvedic Medicines” on 11th February, 2016. 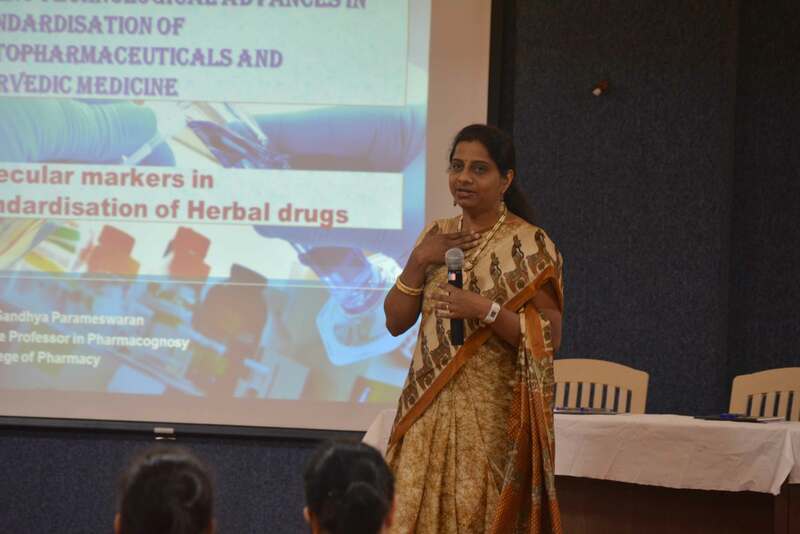 This seminar was organized with the objective of understanding the current practices in the standardization and quality control of herbal formulations and ayurvedic medicines, and thus enhancing knowledge regarding technological innovations in the quality assurance of these formulations. 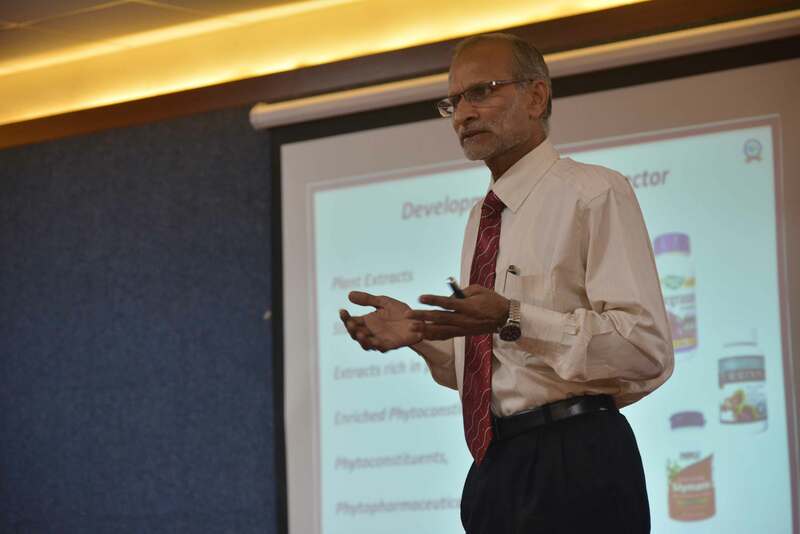 The seminar was attended by eminent professionals in pharma field from academics as well as industry. 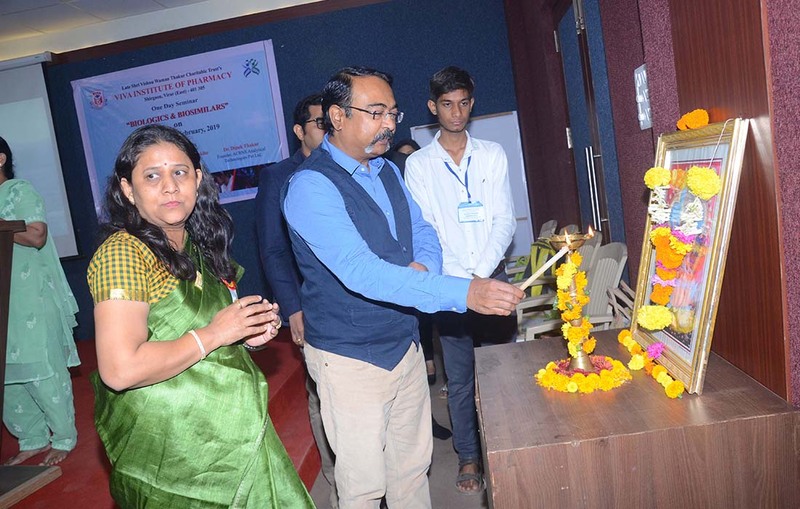 Chief Guest, Dr. L. B. Yadav (Director, Gaylord Pharma system) gave inaugural address. 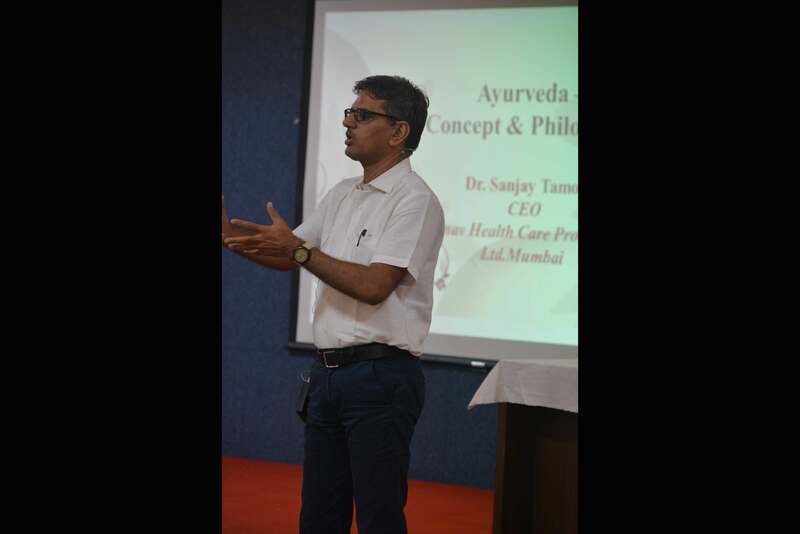 Dr. Sanjay Tamoli (Practicing Physician & Researcher, Ayurveda) gave the first session of seminar on, “Ayurvedic medicine: concept and philosophy”. 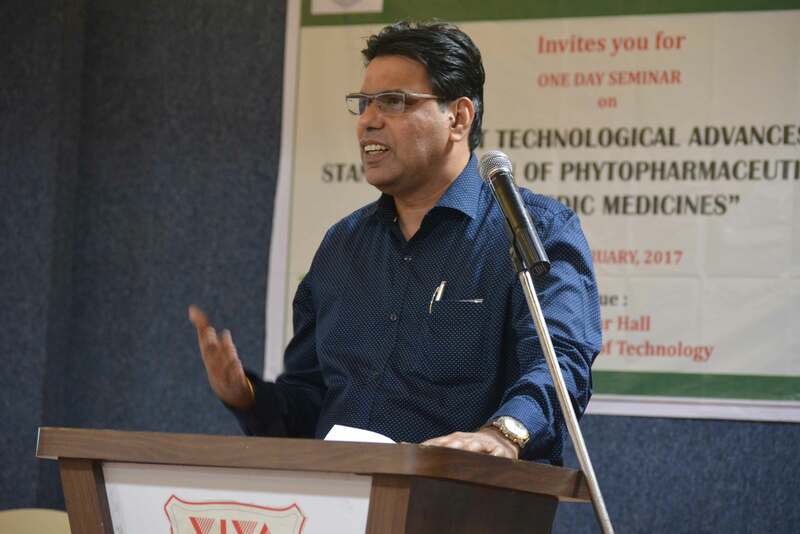 He discussed not only about Ayurveda but also on phytopharmaceuticals and their clinical research in today’s world. 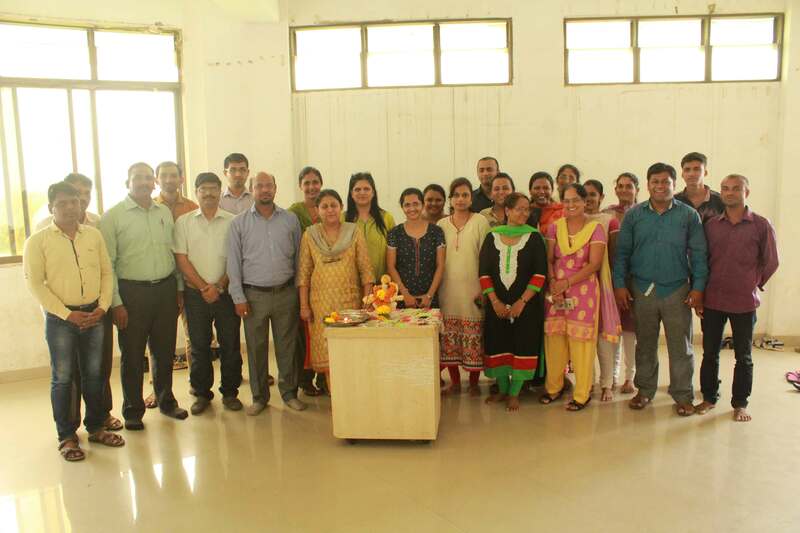 Description : Gurupurnima, an auspicious day to acknowledge the teachers contribution in learning, was celebrated in a traditional way. 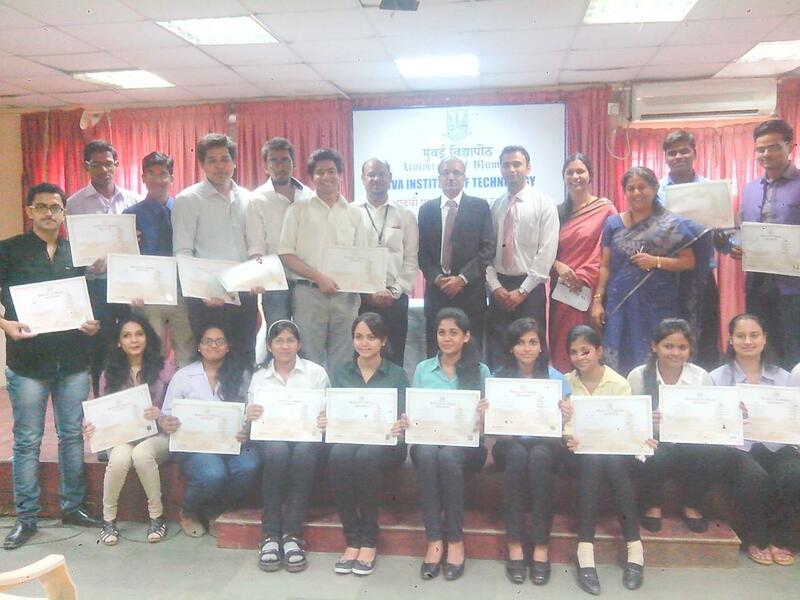 Hitendra Thakur, President honored selected member of staff and students. 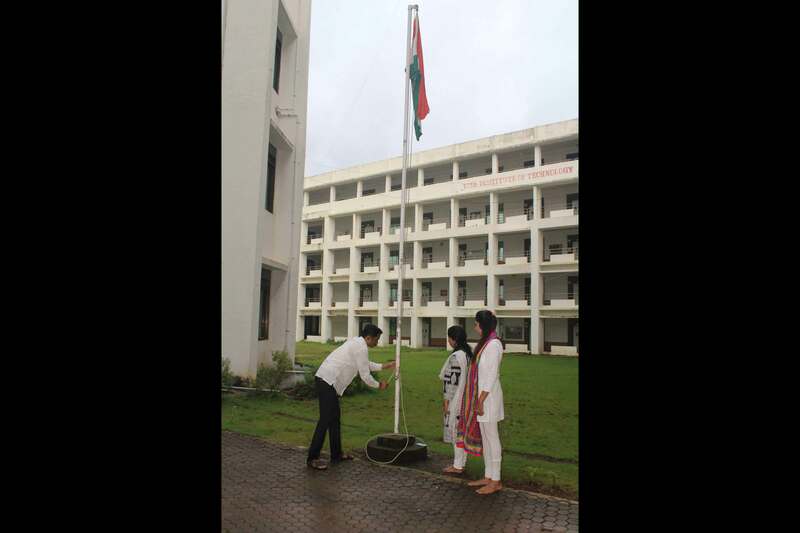 Description : The birth date, [5 September 1888], of the second President of India, academic philosopher Dr. Sarvepalli Radhakrishnan, is celebrated day, where teachers and students report to school as usual but the usual activities and classes are replaced by activities of celebration, thanks and remembrance. 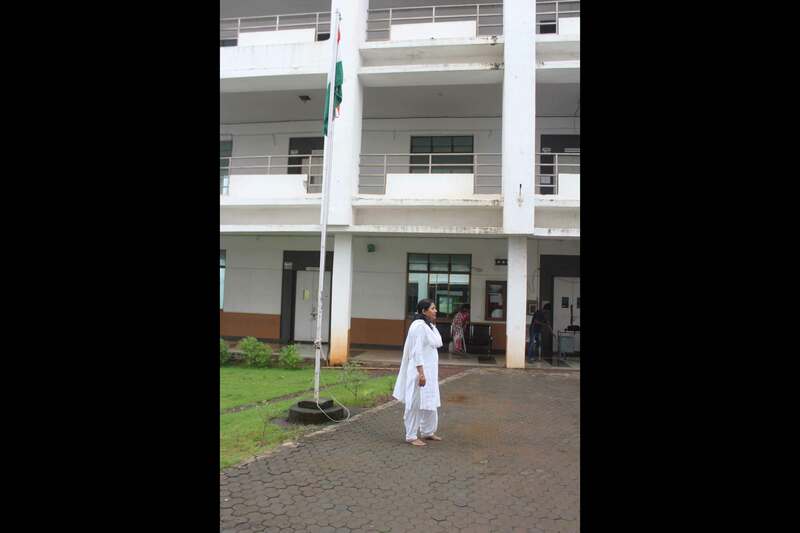 On this day senior students take the responsibility of teaching in order to show their appreciation for the teachers.